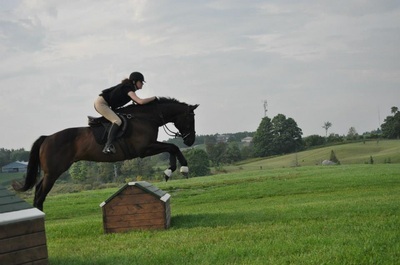 Venlo found a loving home with a long term fan, Anna, in Massachusetts, who had contact Tiara years earlier, just before he was committed to a lease. Fast forward 3 years, and Anne was looking for a second horse while Venlo become available. 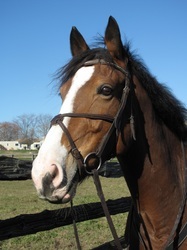 He has a happy life being doted on by a Dutch Harness fan. Good luck to you both Anna! 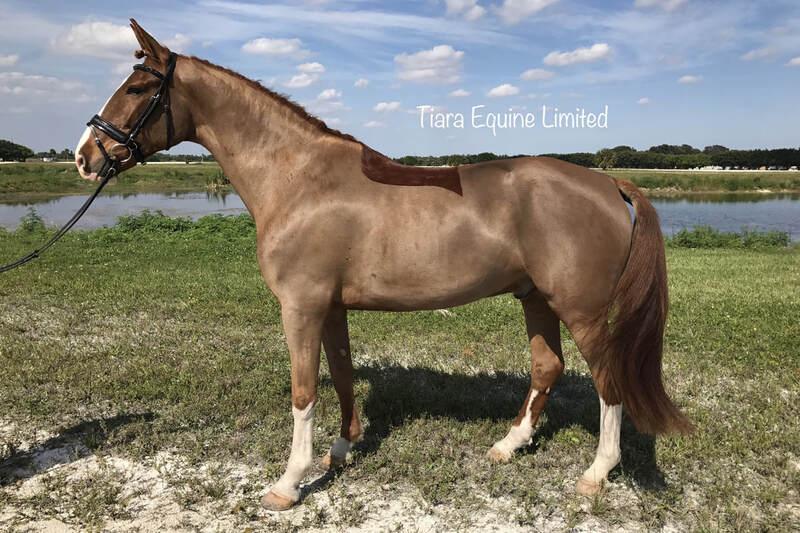 Tiara sourced Lana for a client at home in Wellington Florida. 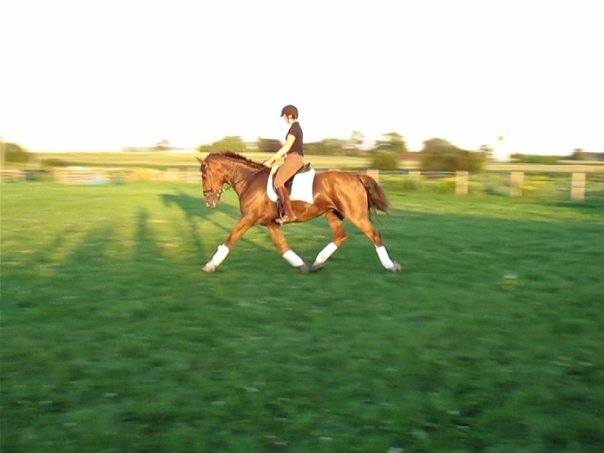 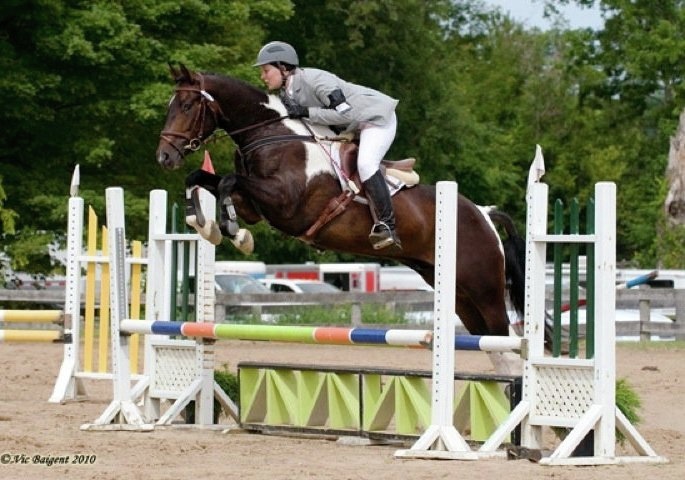 This beautiful mare is the perfect match for her 14 year old owner who has big aspirations to move up the levels. The family will also use Lana to produce dilute foals via embryo transfer. 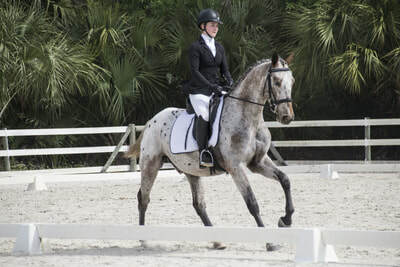 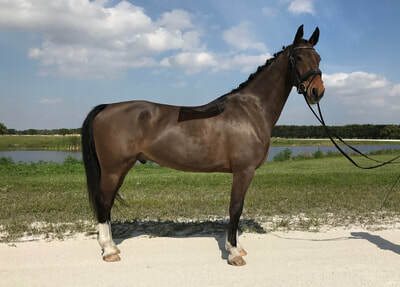 4 year old Knabstrupper Skippy sold while in Florida to a dressage barn who will develop him up the levels. 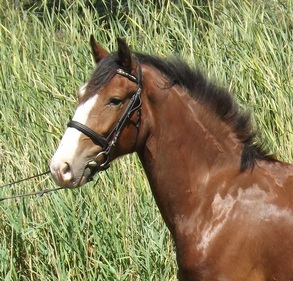 All the best to the new owners of this lovely young horse with an absolutely excellent brain. 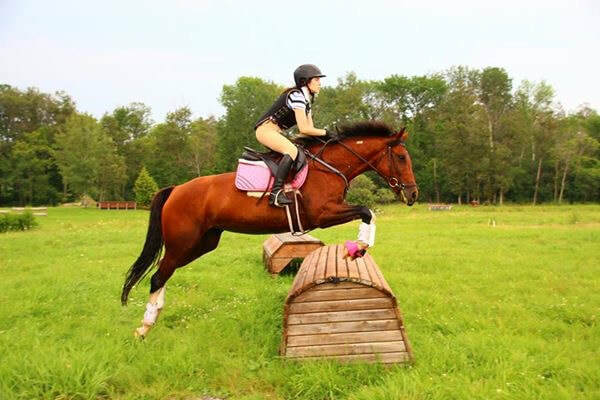 After several months of shopping, Tiara client Leah was quick to jump on a plane and trust her coaches when they told her Tori was "the one". 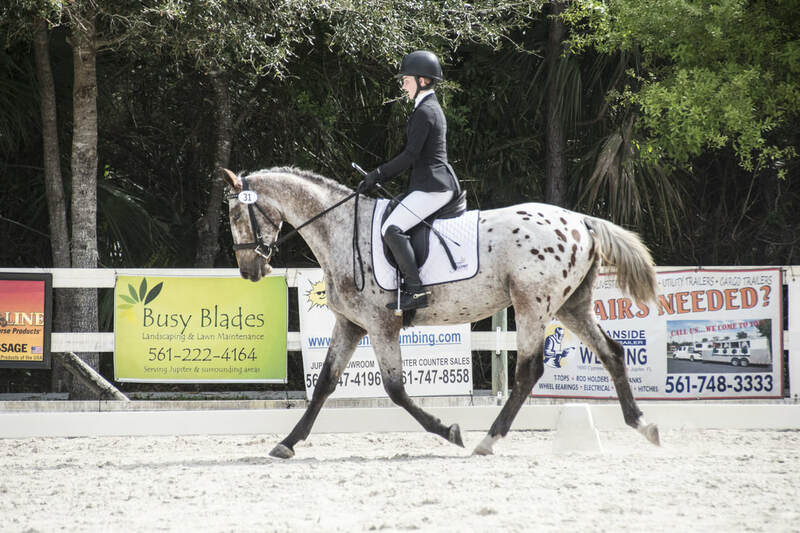 Tori was sourced in remote Florida, and has proven herself to be the perfect combination for Leah, and they enjoyed show ring success in a very short relationship together. Brooklyn was found by Tiara as a 3 year old, broke and sold within the barn. 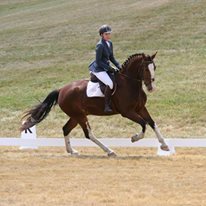 After proving herself as a dressage horse and eventer, personal circumstances changed for her loving owner. 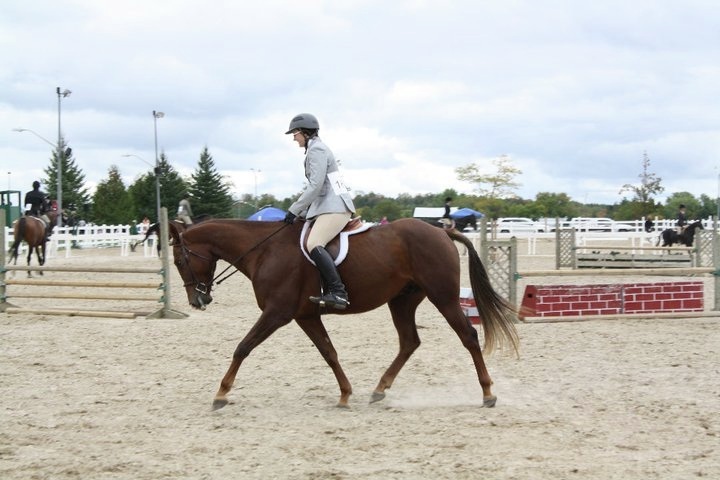 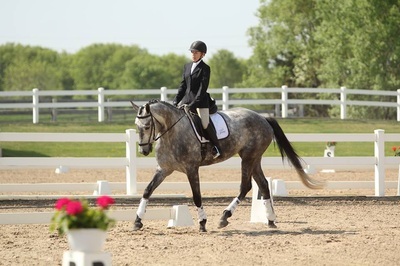 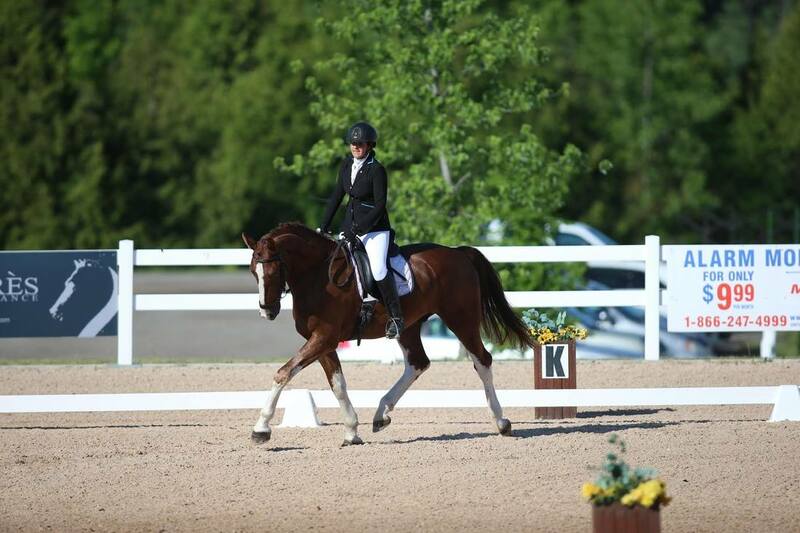 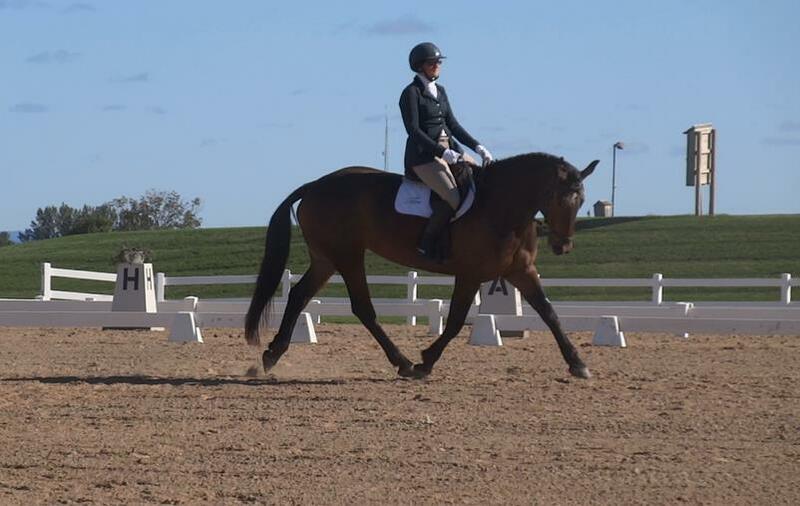 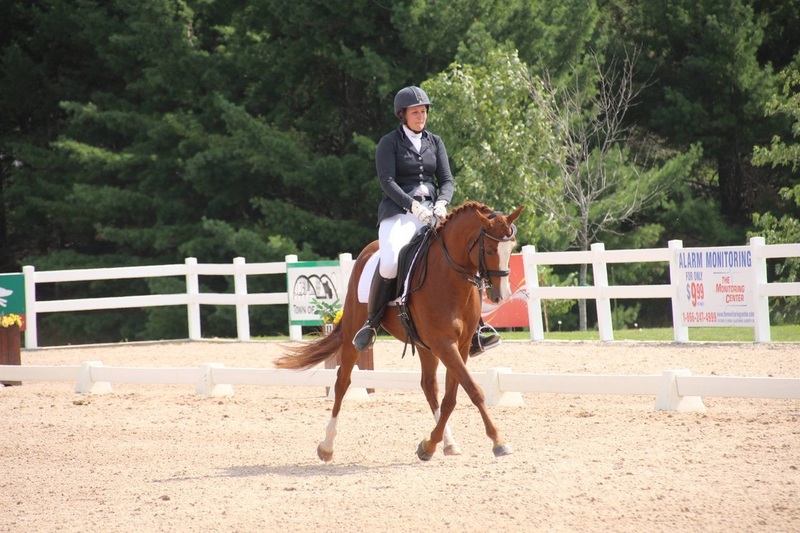 We were pleased to find her a new home in Michigan as a first dressage horse for her adult amateur owner, Jin. Tiara sourced this schoolmaster gelding for new client Alexia, to learn the ropes of eventing, and jumpers in Florida for the 2018 season. 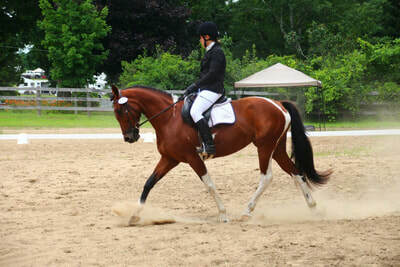 Tiara facilitated the sale of Rosie, an impeccably bred dressage horse, with mileage at the Intermediare level. 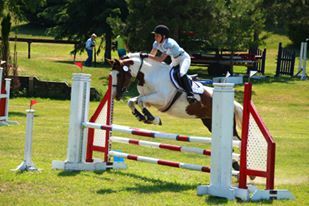 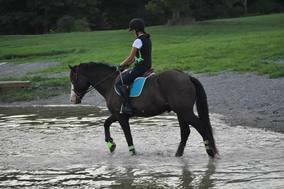 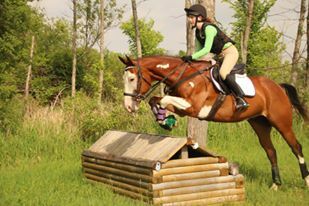 She will be piloted by her new owner Julie Barrett, of Cobourg, as they work together to qualify for the Young Riders Team. 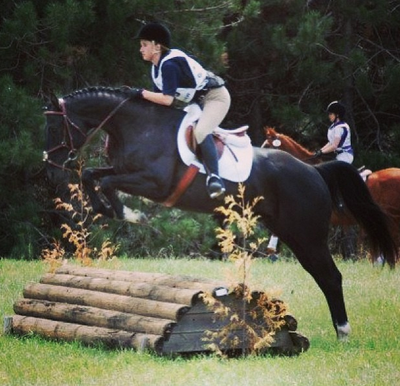 As Tiara's working student, Julie will venture to Florida to campaign this winter. 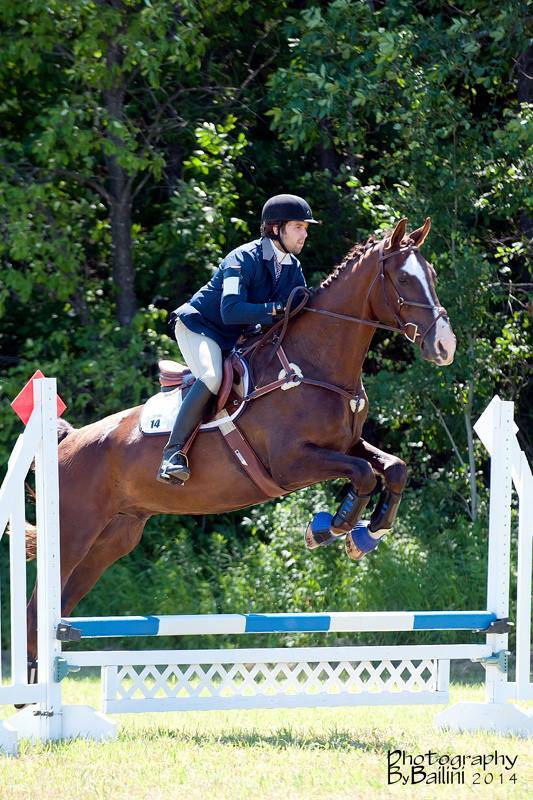 Amstel sold to his leaser, Christina, who is a long term client and is the perfect match for this quirky gelding. 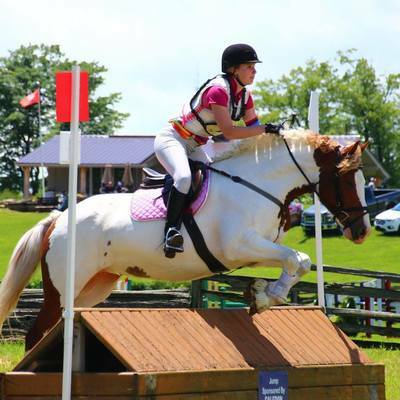 They will continue their journey up the levels in eventing, and head to Florida for 2018. 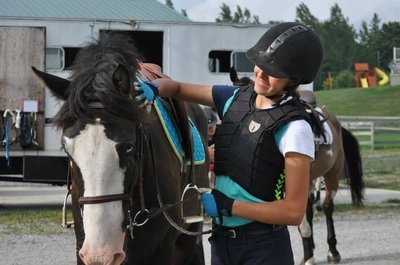 Leiden has been with Tiara since he was three years old. 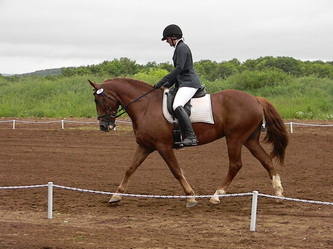 He did dressage at 1st and evented to training with success. 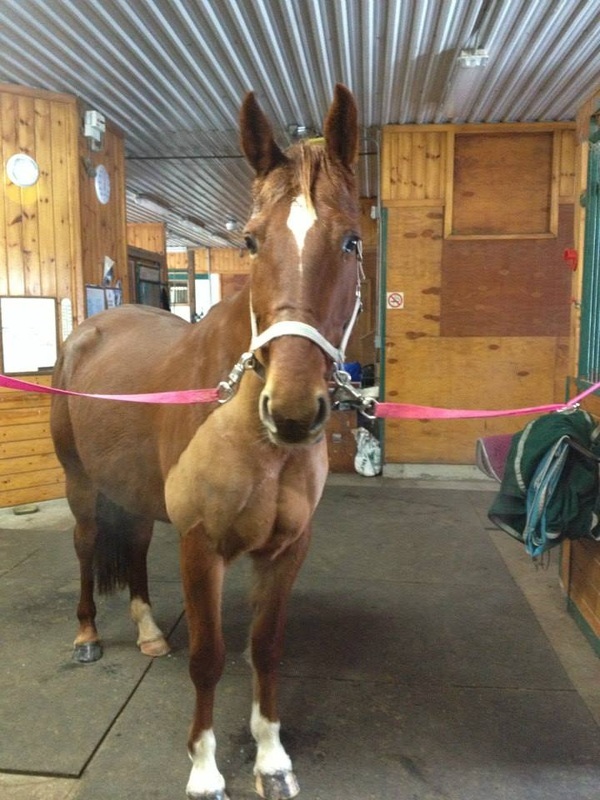 He will stay in the barn with his new mom Hannah. 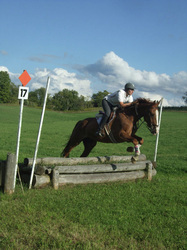 Sassy was a fantastic addition to the Tiara herd and enjoyed success at Entry and Pre-Training. 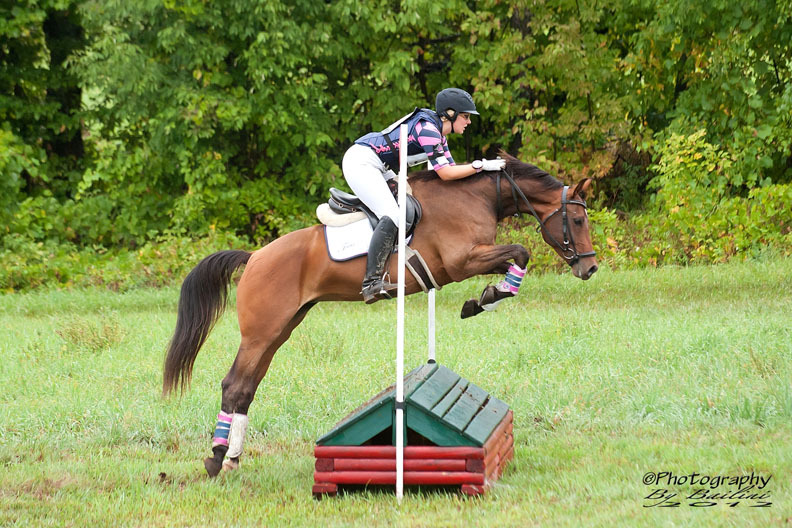 She will now be a good confidence builder for Junior eventer, Riana! 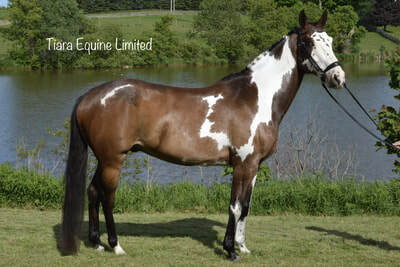 Nexus is a long term Tiara horse; he was a school horse before selling to his owner. He was retained in barn and Pam and Gillian will now get to enjoy him! Fanta sold from our school program to her leaser, before even being marketed. 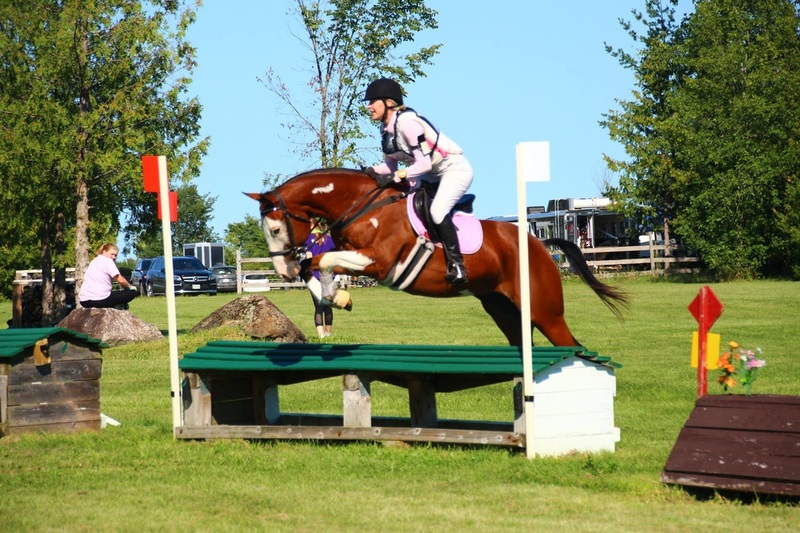 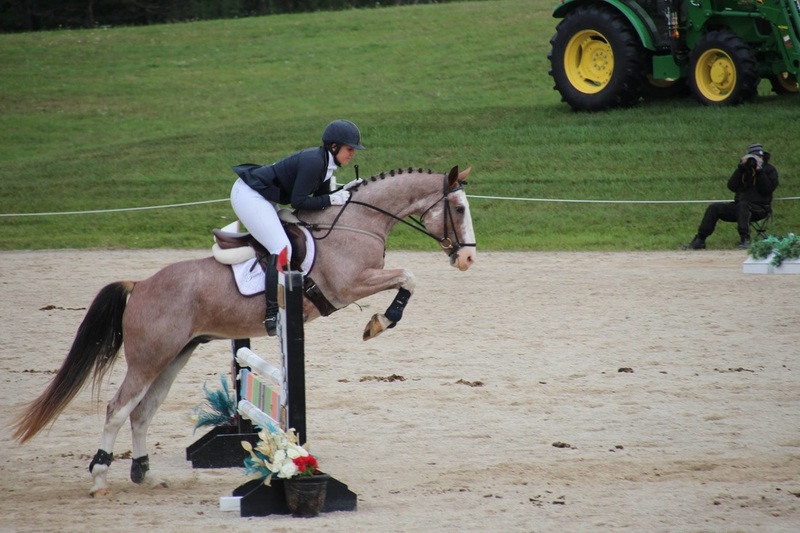 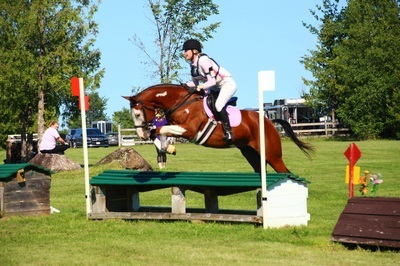 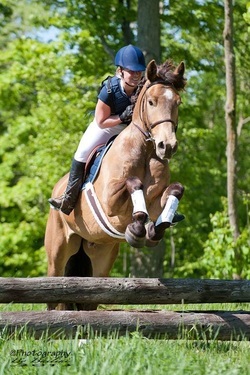 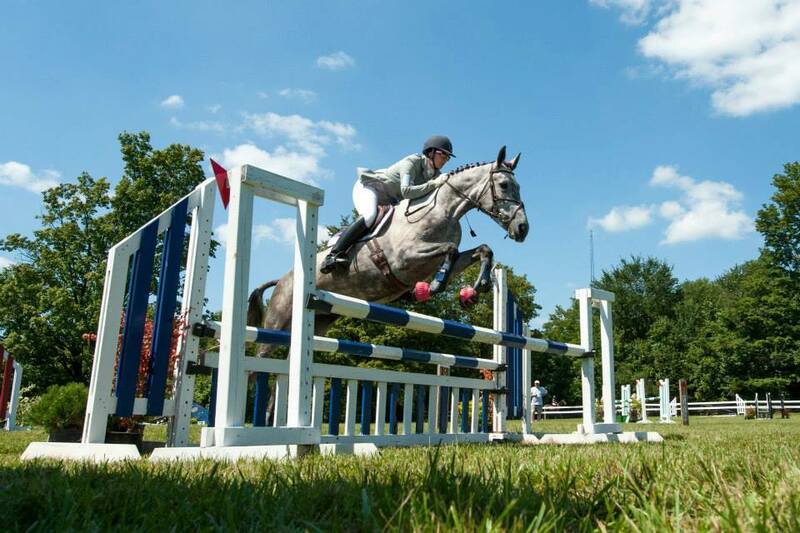 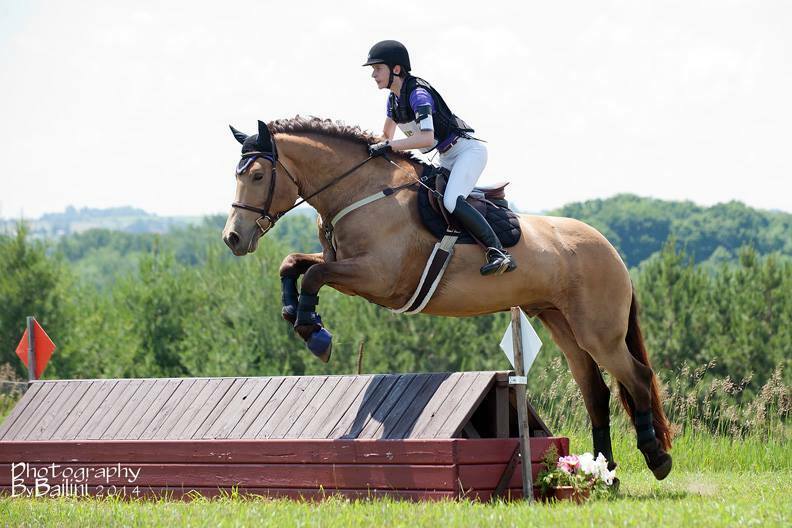 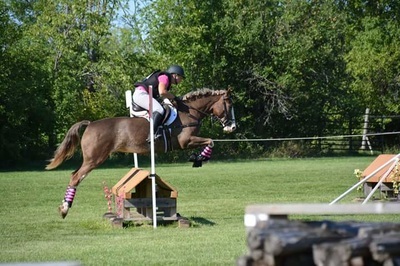 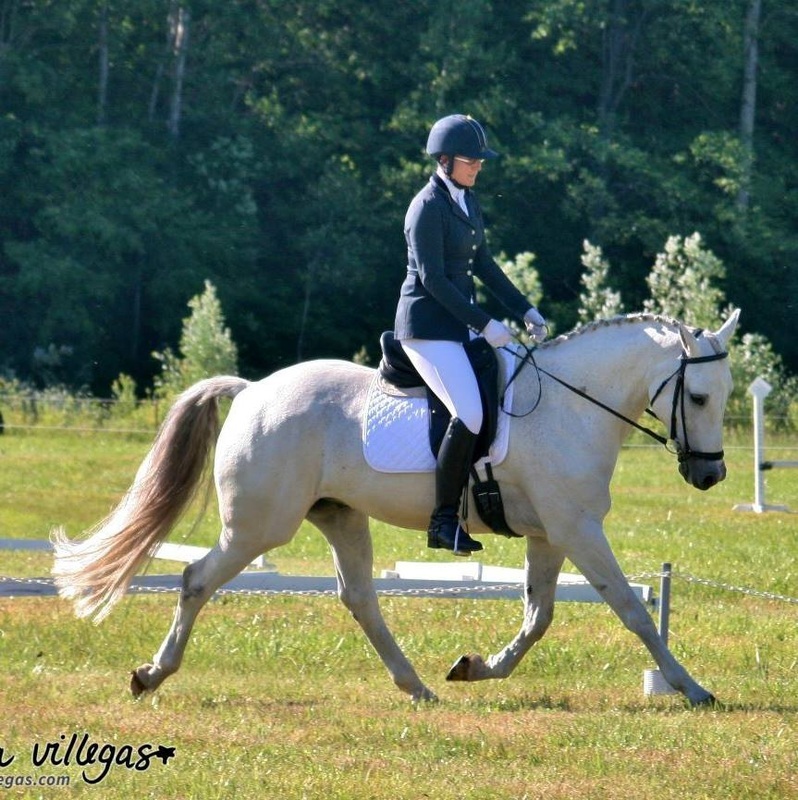 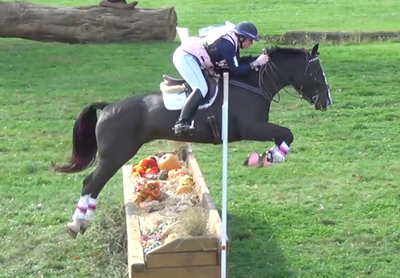 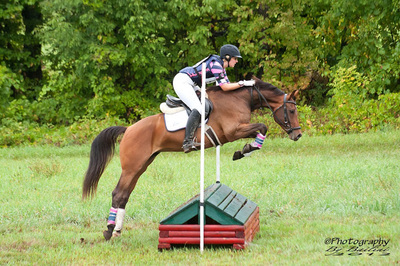 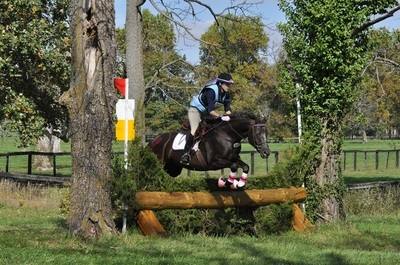 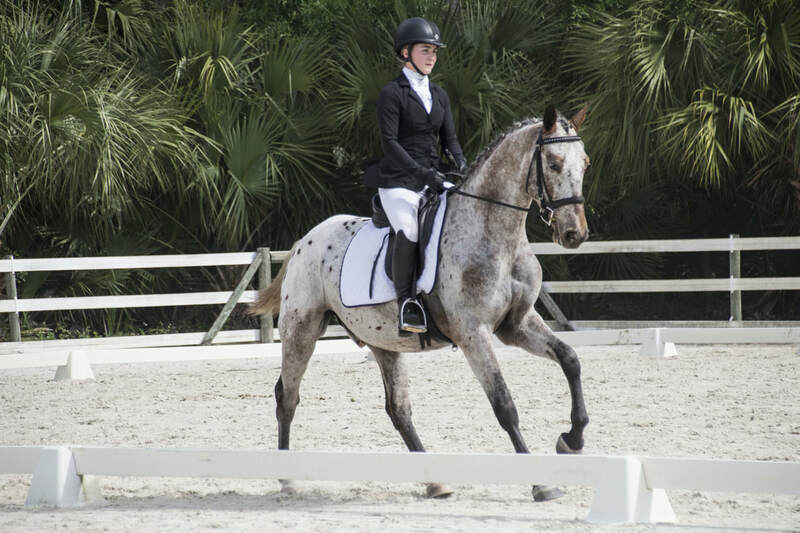 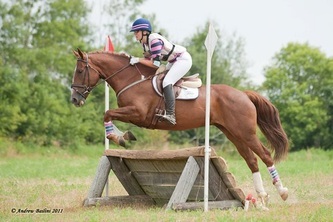 Allison will enjoy low level eventing and dressage with this special mare! 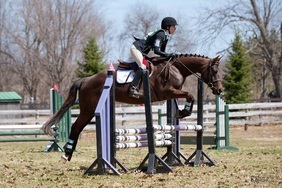 Dream sold to her long term leaser, Anne, who will continue to event her at the Pre-Training level. 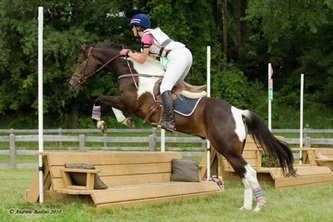 The pair have already enjoyed much success including wins at the Entry level! 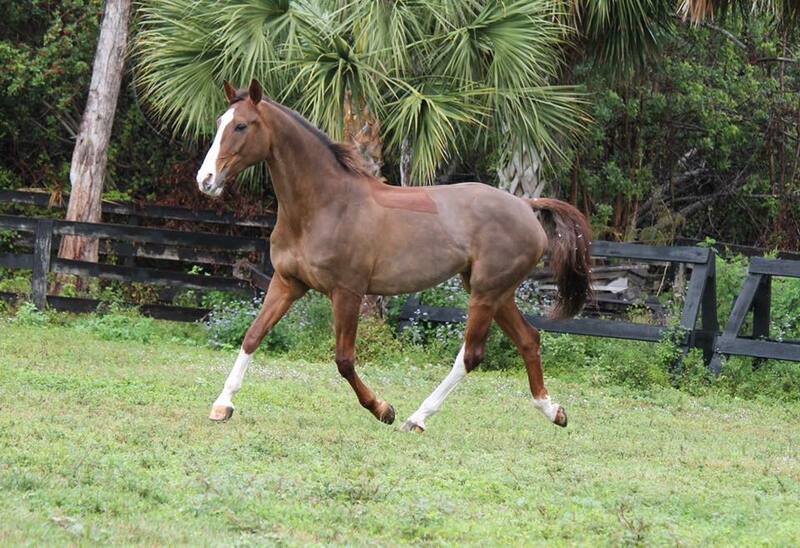 We are happy Dream, and her sister Fanta, will be staying in the barn. 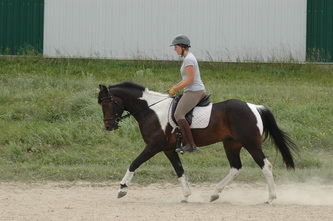 Xander was started by Tiara, and proved himself to be an upper level prospect for any discipline. 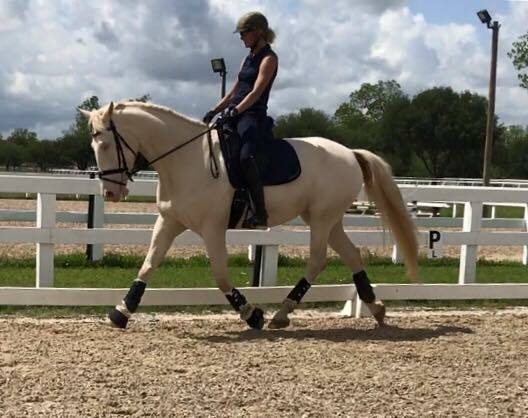 We are excited he sold to a Jennifer, a professional in South Carolina who will develop this young athlete as a dressage horse. 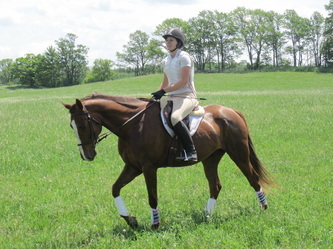 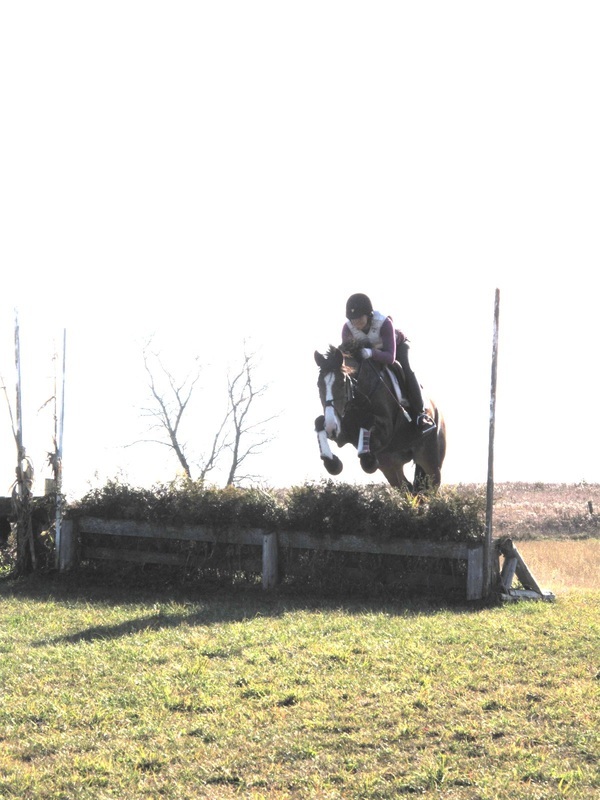 Howie was purchased by Tiara as a weanling, broke, trained, sold to a client in barn and developed as an eventer. 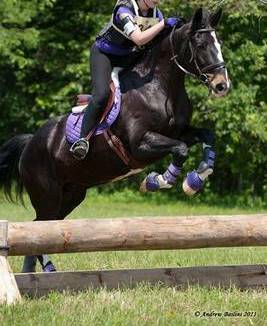 This huge talent is sure to prove to the world that Dutch Harness' can indeed jump, and we are excited that he sold locally, and will be produced by Amanda Dare of London Ontario. 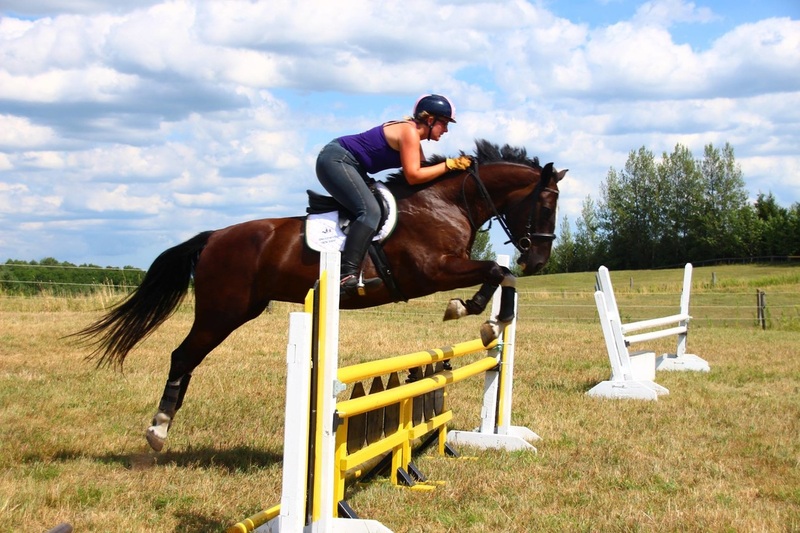 They've already enjoyed success at the Pre-Training level. We are so happy to have found the perfect home for Molly, in Maeve and her mom Sara who understand and appreciate this sassy mare. Molly did an excellent job teaching her former owner Christina everything she knows as she brought her from a new eventer up to pre-training safely. 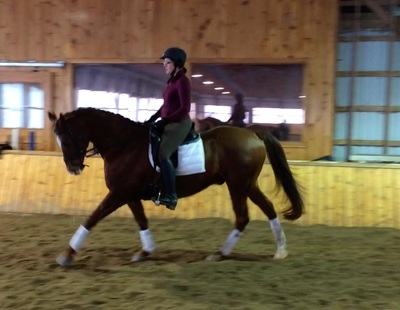 We hope Molly teaches Maeve just as much about dressage! 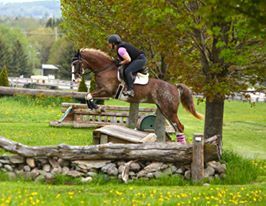 We would like to extend huge congratulations to Sandra on the purchase of what will hopefully be her heart horse after a sad loss. 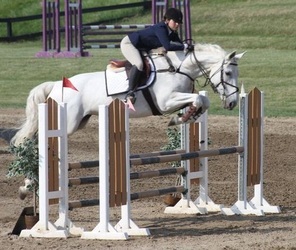 Spirit is a special guy we were to lucky to have in the barn for almost a year. 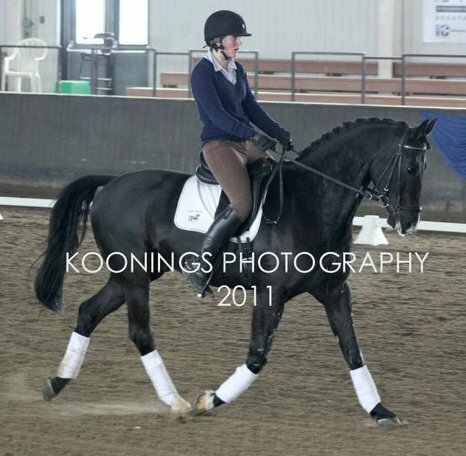 He was a solid citizen throughout, from beginner lessons, to rocking around Championships and doing demo's at the Royal. 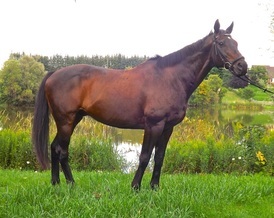 We are sure his new mom will enjoy him just as much as we did and we are pleased to say he will be joining Tiara grad Justice at Rivermore Stables. We love having repeat customers! 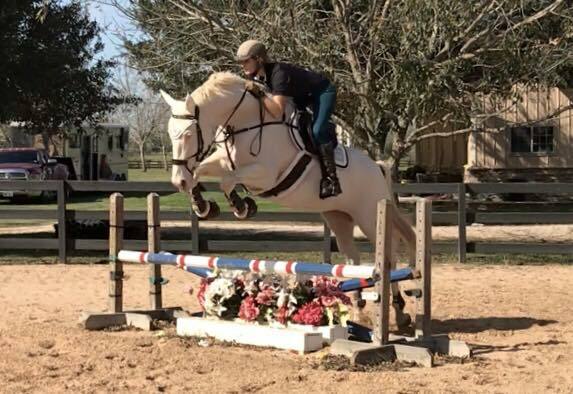 Congratulations to Sandy on finding her dream horse in blonde bombshell, Justice. 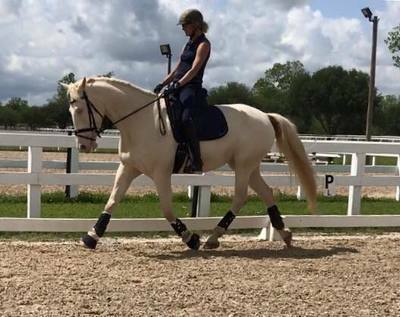 Sandy wanted her next dressage horse to come palomino, and we are firm believers that a buyer should have the luxury to find a horse that ticks ALL of their boxes, including dream colour. We are excited to follow along with their progress in the ring! 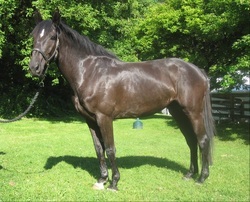 Congratulations to Jocelyn of Brantford on the purchase of this fantastic young gelding. 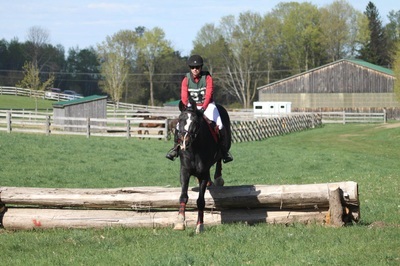 Wise beyond his years, Iago will spend his time in Ontario and Aiken, hacking out and being a safe, dependable mount for his new owner. Congratulations to Lydia Stearn of Toronto. Lydia has been a Tiara client for one year, and leased the lovely Rozen from us. 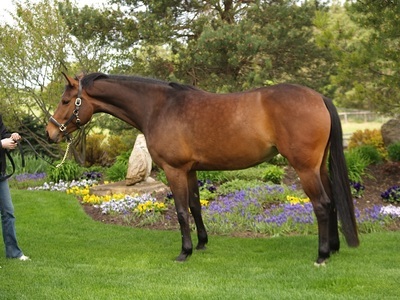 Rozen is currently in foal to Lindegaards Elliot for a 2017 baby. 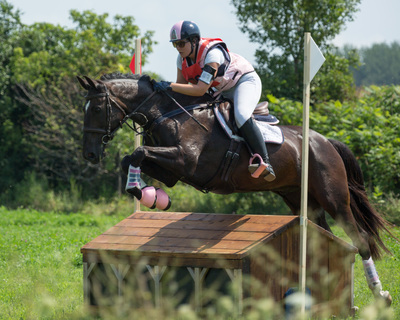 Lydia made the jump to horse ownership and wanted to be involved in the pregnancy and foaling experience, so will enjoy playing midwife to her lovely mare, before taking the reins back to compete in dressage and eventing. 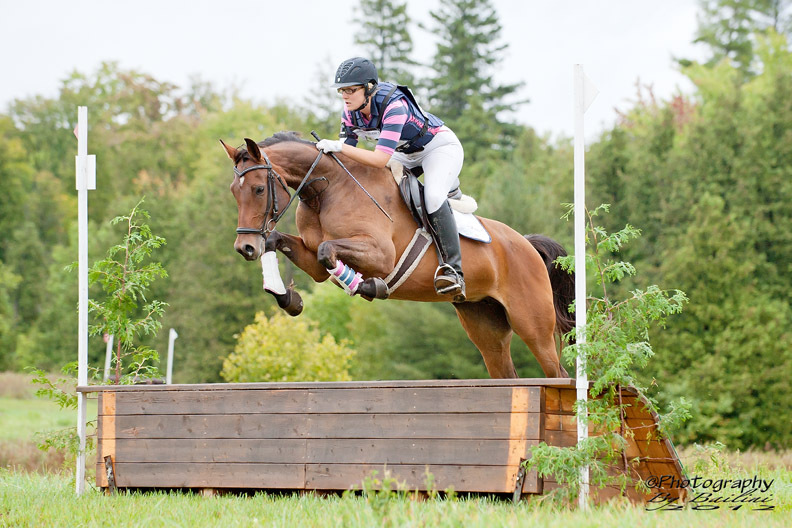 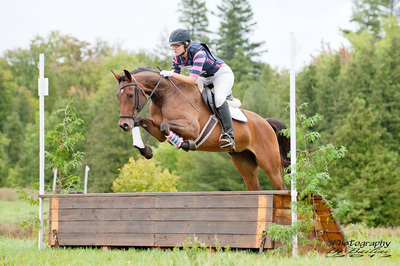 The sale of Diesel is a bittersweet one for his owner; a lovely young rider who chose to refocus her energy on school. A solid PT horse, with a few runs at training under his belt, Diesel was sold to an adult amateur, as a confidence builder at the lower levels. Congrats to Courtney on producing such a lovely and saleable gelding. Congratulations to Harley's new owner, Kim in New York. 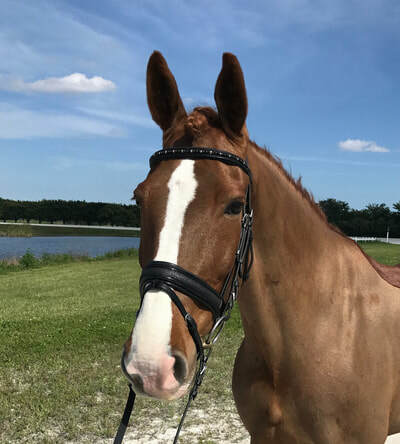 Kim found this geldings add while he was campaigning in Florida, met us along route in Aiken, and we delivered him to his new home a few days later. 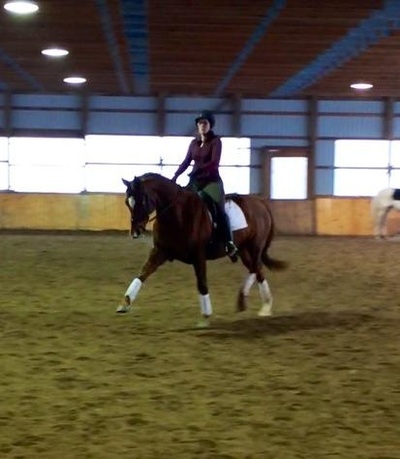 Kim and Harley are getting to know each other and participating in many dressage clinics. We can't wait to hear about their show ring success. 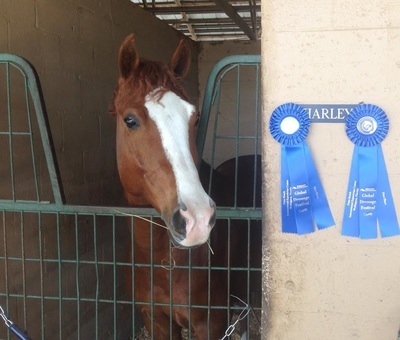 We are so happy Harley went to such an excellent home! 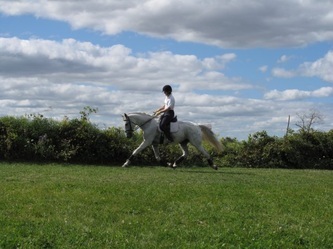 Harley had been in training with Tiara for many years and moved up from training level to a confirmed third level pony, who won everywhere from Palgrave to Wellington! Congratulations to Ashley Hensman of Taylor Made Farms. 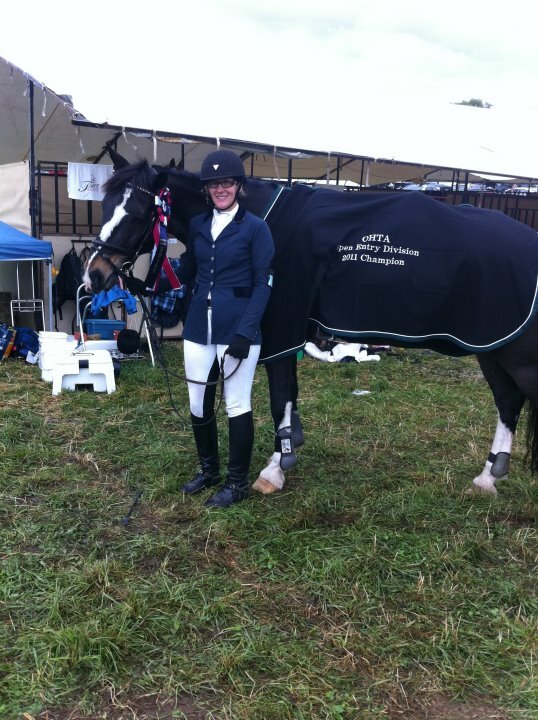 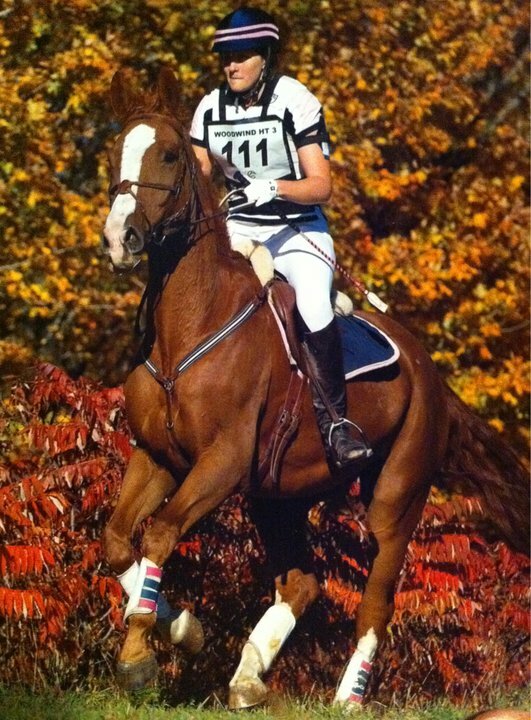 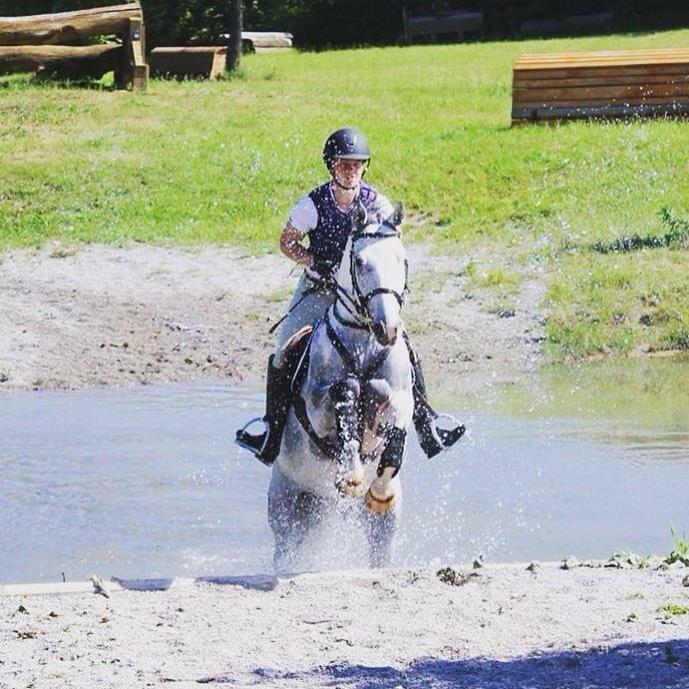 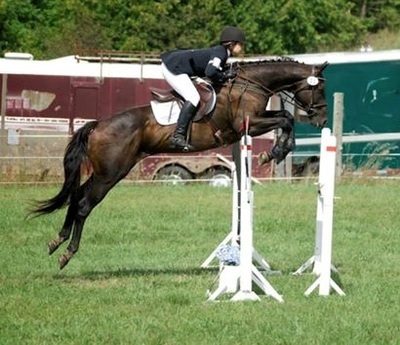 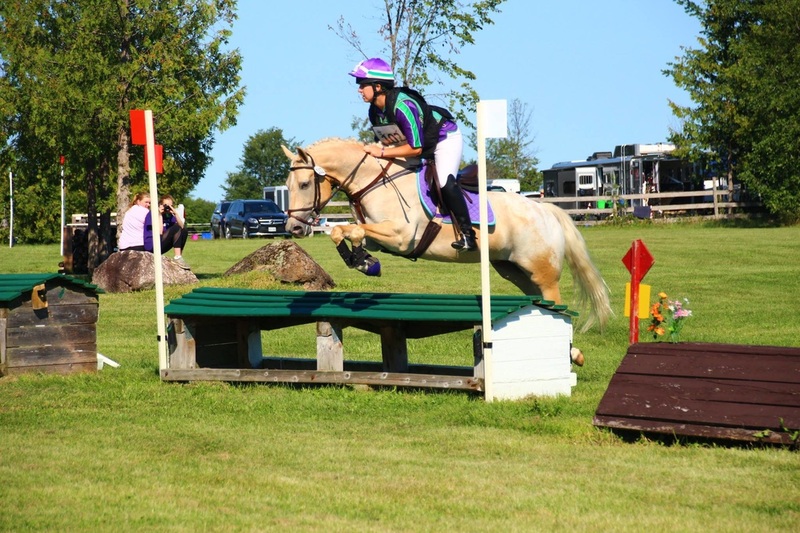 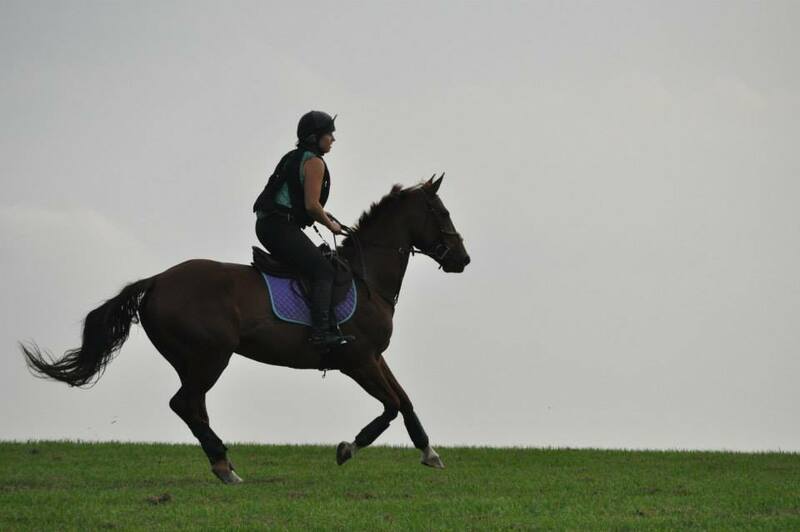 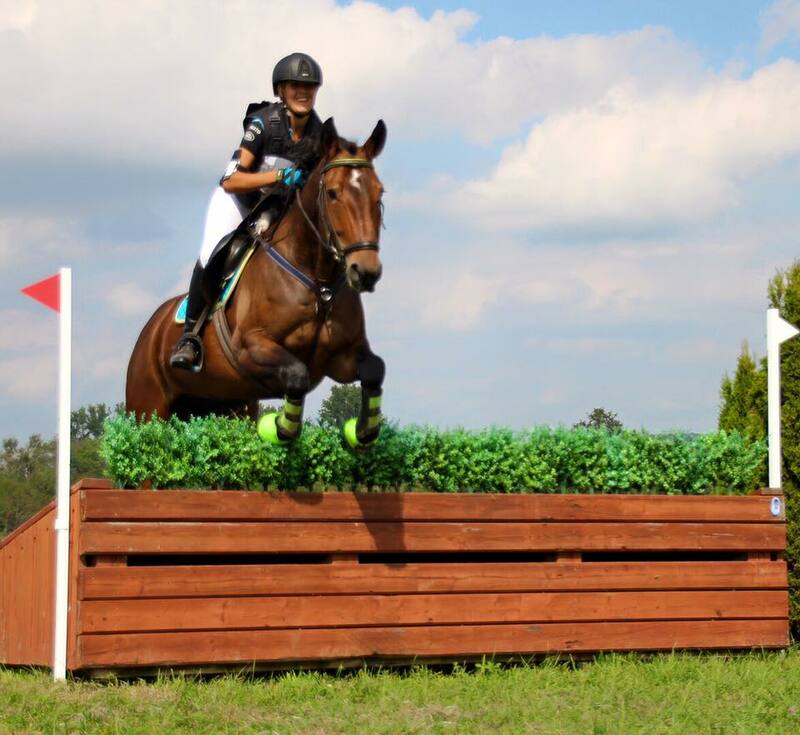 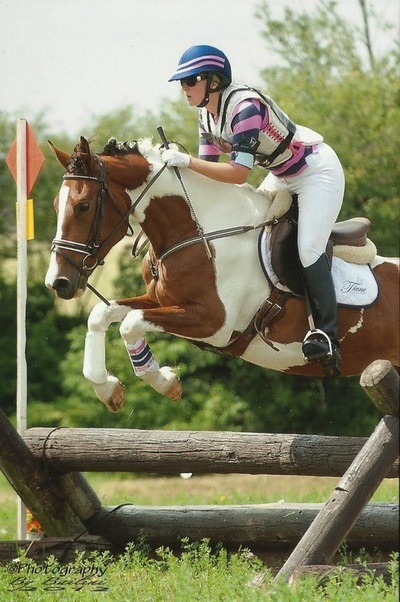 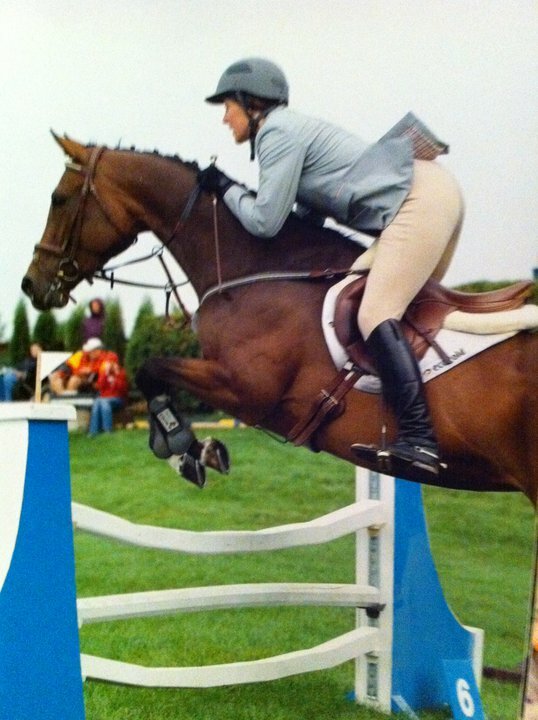 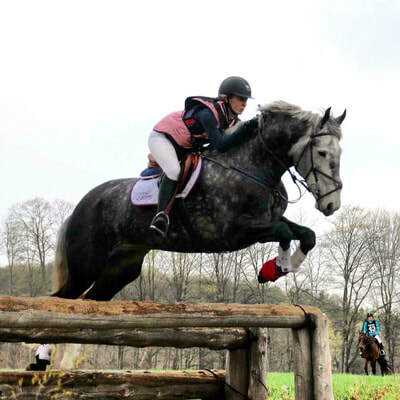 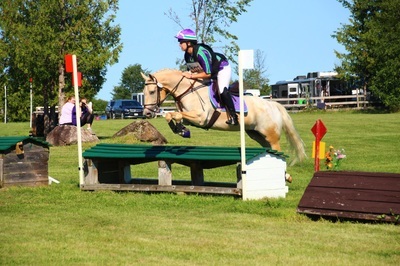 Ashley purchased our lovely Roanoke TE as a very green broke youngster to bring along for eventing. 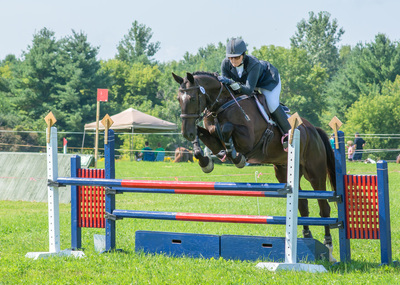 In just a few short months, Ashley and "Hott Aventador" were out competing at entry with much success, including a win at the OHTA Championships, to beat out 3 more of our dutch harnesses. In all there were 4 dutch harness horses in the top 6. We are so pleased by the match between Ashley and Aspen (formerly Rowan) and are eager to see what the future brings! Congratulations to new owner Kelli! 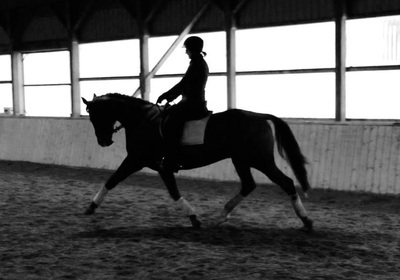 She has purchased this lovely imported schoolmaster as a dressage horse for her to improve her skills on. 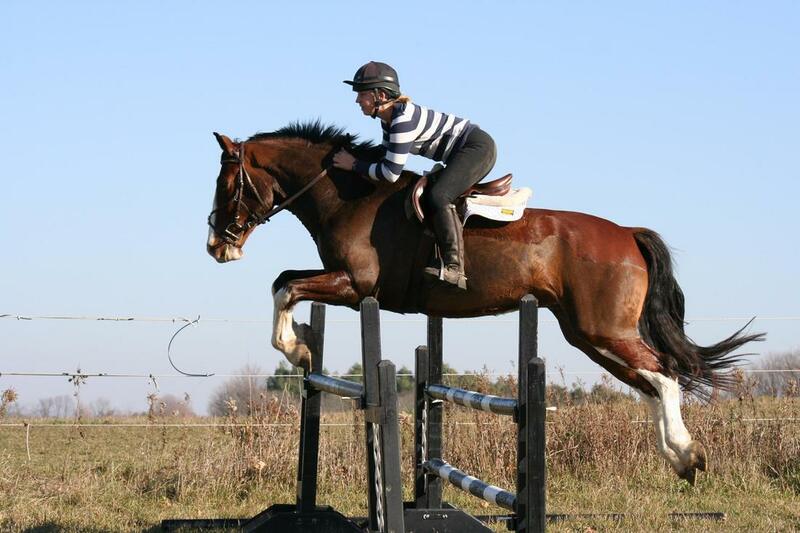 We are so pleased to sell this kind gelding to such a great home! Congrats go out to Tiara client, Jonathan Keebler on the purchase of "Markus Aurelius" a training level eventer, who recently won OHTA Championships. 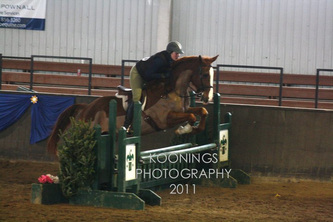 Jon will learn the ropes at training and hopefully upgrade to prelim on this horse. 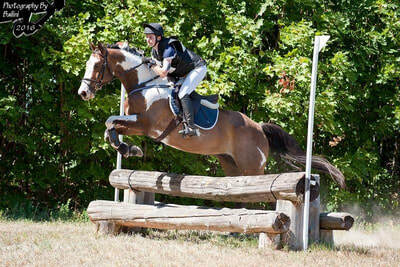 Mark will stay in training at Tiara. Congrats as well to former owner, Cody Sturgess, and we thank him for enlisting us to sell this lovely horse. 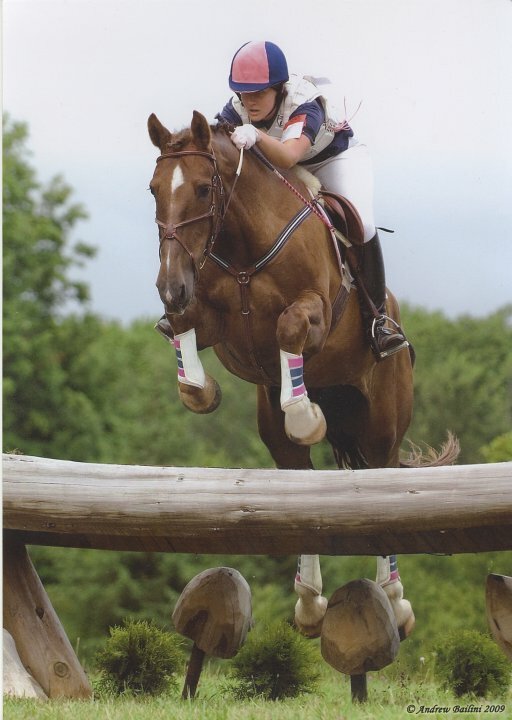 Flint is a 4 year old paint/wb/tb cross who we sold as a project horse to eventer Katie Bondrager. 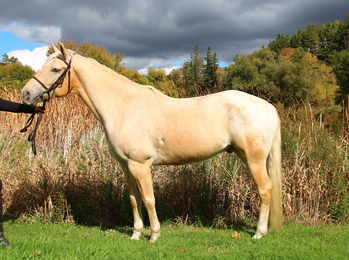 We are very excited to see what she brings out of this lovely young gelding. 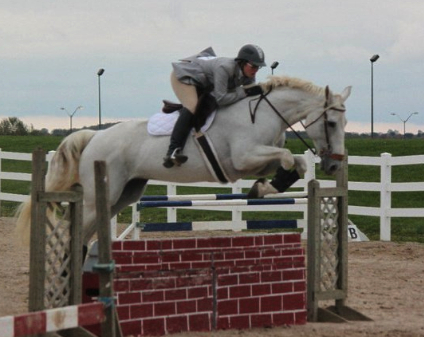 In just one season, she took this young gelding from unbroke to successfully jumping around pre-training. We are excited for their future! Rico was a proud Tiara sale in 2011 to a new horse owner, wanting her very first horse of her own. 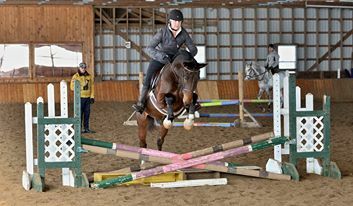 After teaching her the ropes at Entry level, she's ready to take the plunge and purchase a young horse to develop. Rico came back in to the barn to be used in our program, where he won a few events and went to champs with a junior rider. 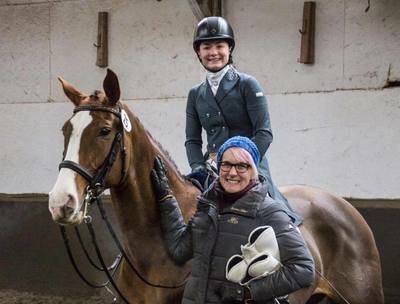 He sold the day after championships to a second mother/daughter event team. 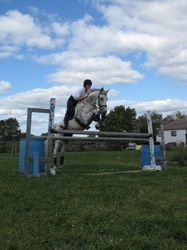 Enjoy your new horse Jennifer and Autumn! 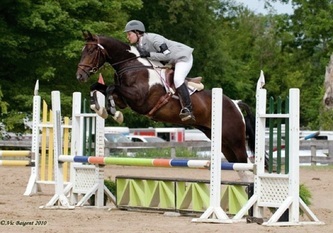 Rune is a schoolmaster with show mileage to PSG and training beyond. 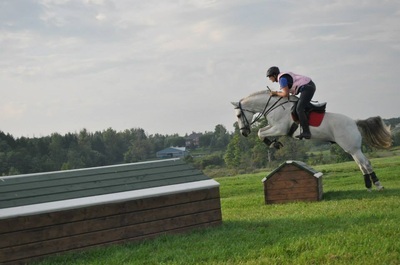 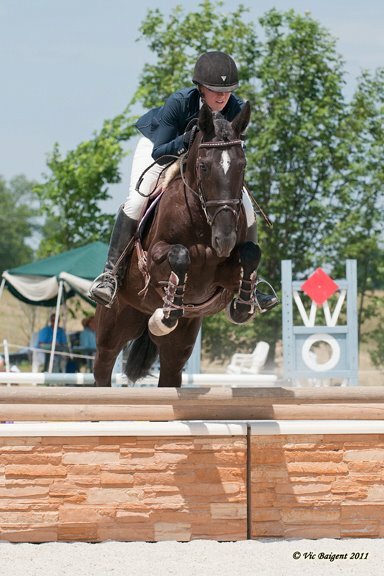 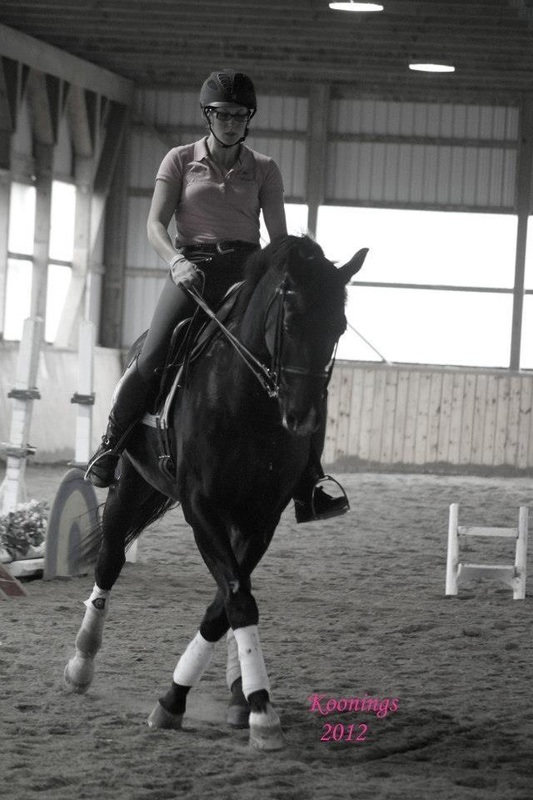 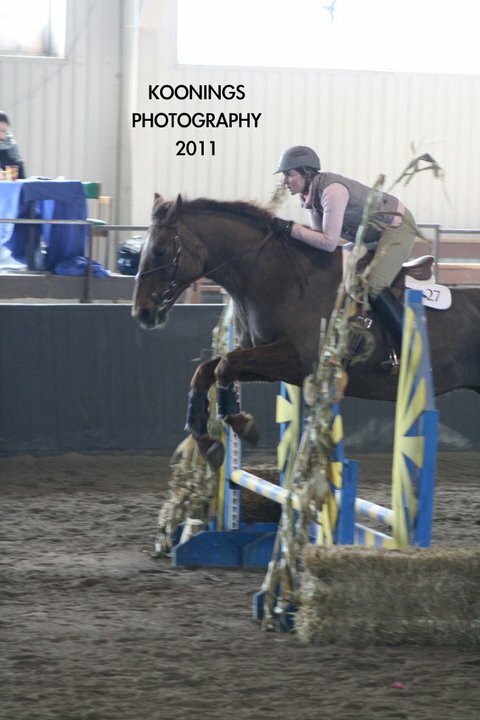 He is a fantastic school master and taught many riders including being a great educator for Tiara head coach, Meagan. 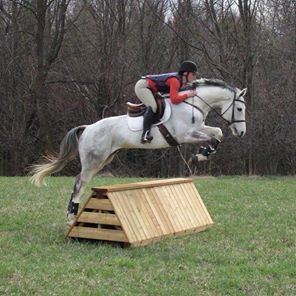 Congratulation and good luck to his new owner Wren, in Kentucky. 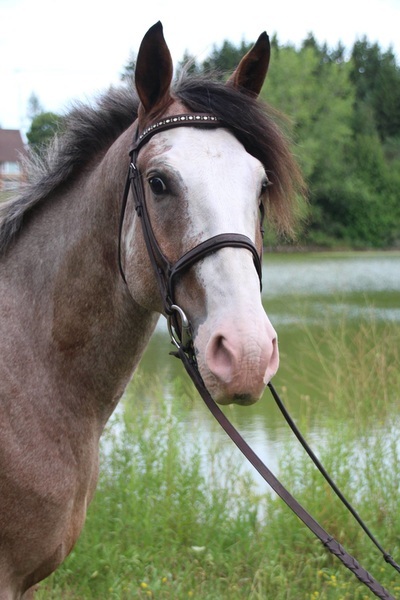 This is a sad goodbye, but we know he will have a lovely life with his new owner! 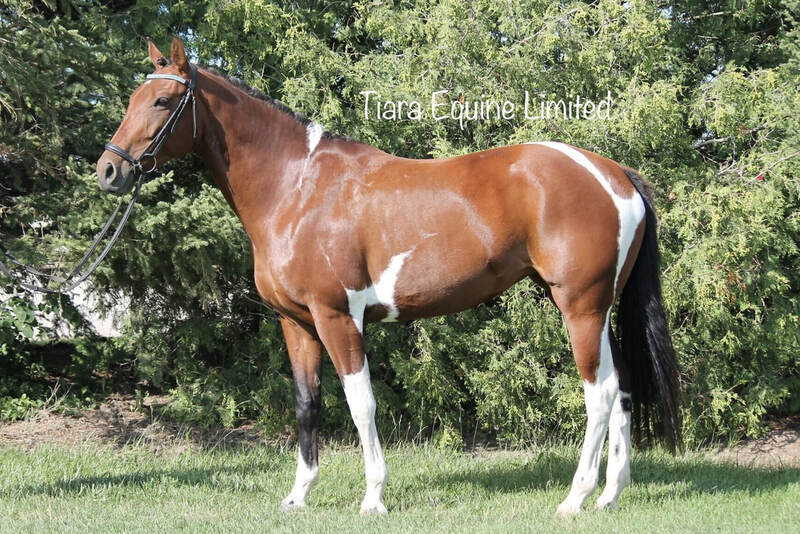 Congratulations to Tiara client Shelley Hancock on the lease of Kandi. 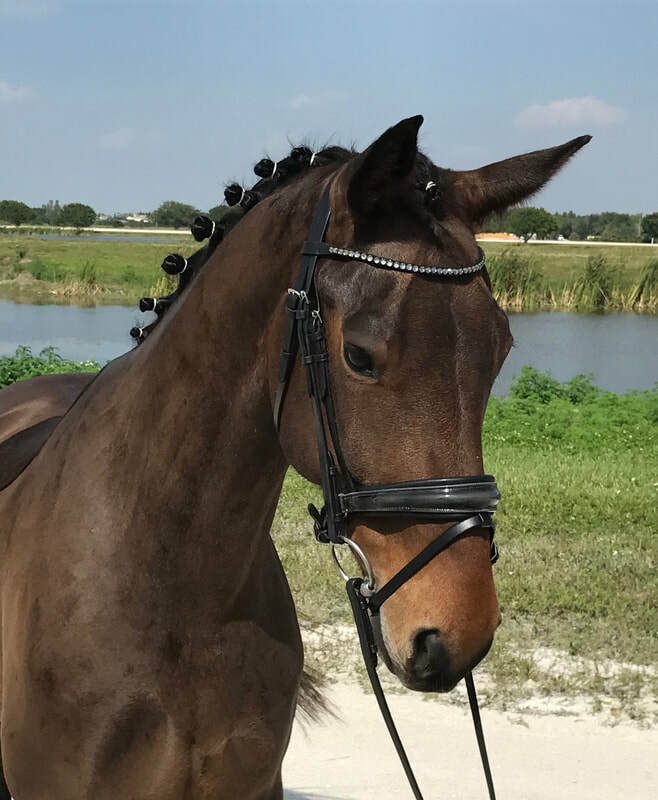 Shelley was finishing up a lease on a Tiara horse and starting her horse shopping, when she realized Kandi had been right under her nose. 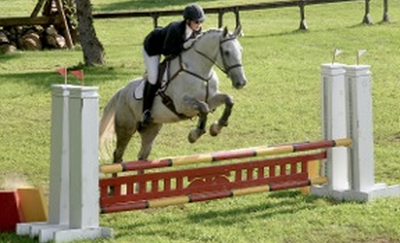 An experienced 2nd level dressage horse, we have discovered Kandi's love of jumping. 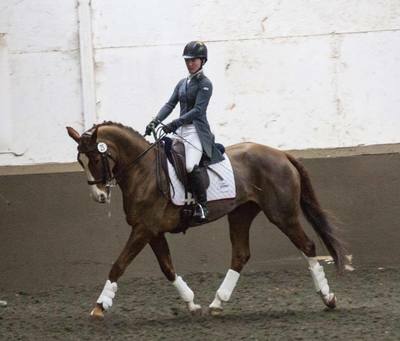 He won his debut at Woodwind in 2014, and will be seen in 2015 at entry to start out. 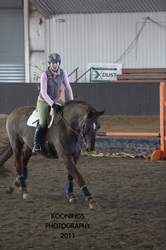 Congrats to Martha from Collingwood on the purchase of this lovely little mare. 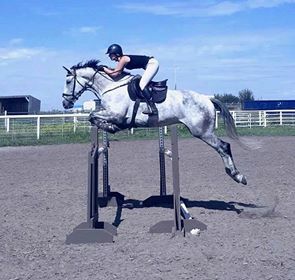 We had this excellent all arounder for 4 years and are very sad to see her go but happy she met the loving new owner who found her. Congratulations to long term Tiara supporter and client, Christine Curtin. 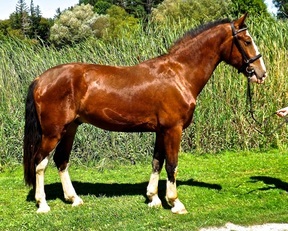 Howie was purchased as a weanling by Tiara and has been an easy start, with the phenomenal movement of the dutch, and the level temperment of the clyde. We expected to develop this horse and sell him later in life, but are very happy to have him staying with us indefinitely, with an excellent new owner who will bring him along in the eventing world. 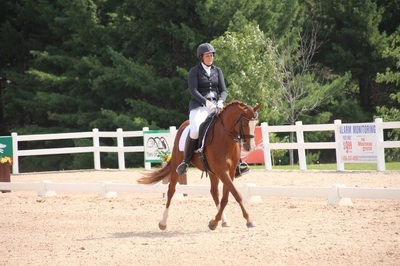 In his first season, Christine and Howie had much success at pre-entry including a win at Cherry Lane! 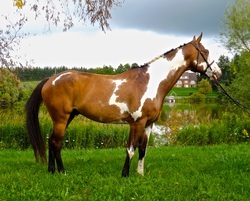 Congratulations to Dara I on the purchase of this lovely young horse. 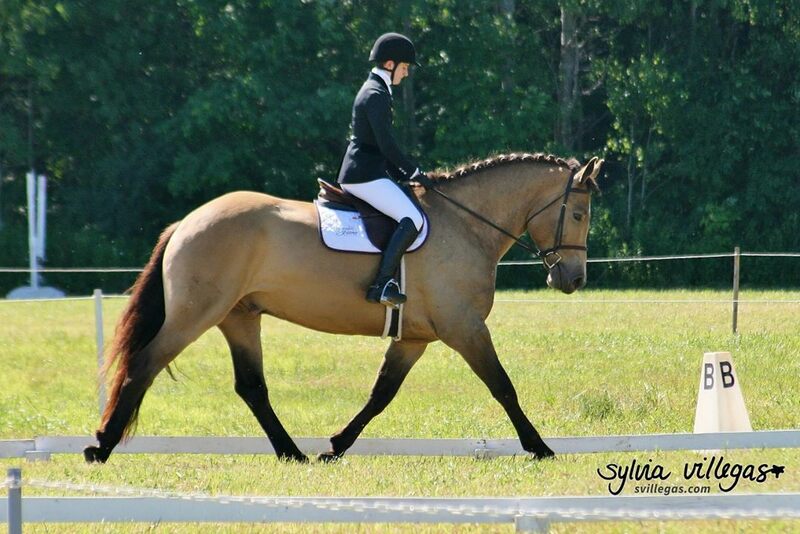 We started Yukon as a 3 year old and Dara fell for his kind, even temperment. 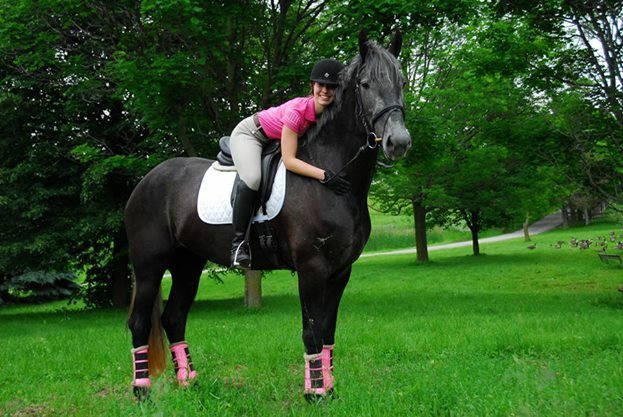 She will pleasure ride this boy and keep him at her hobby farm. Congratulations to Katie on the purchase of her first horse, Bennett. Tiara acted as a sales agent to find a green project to bring along for Katie. 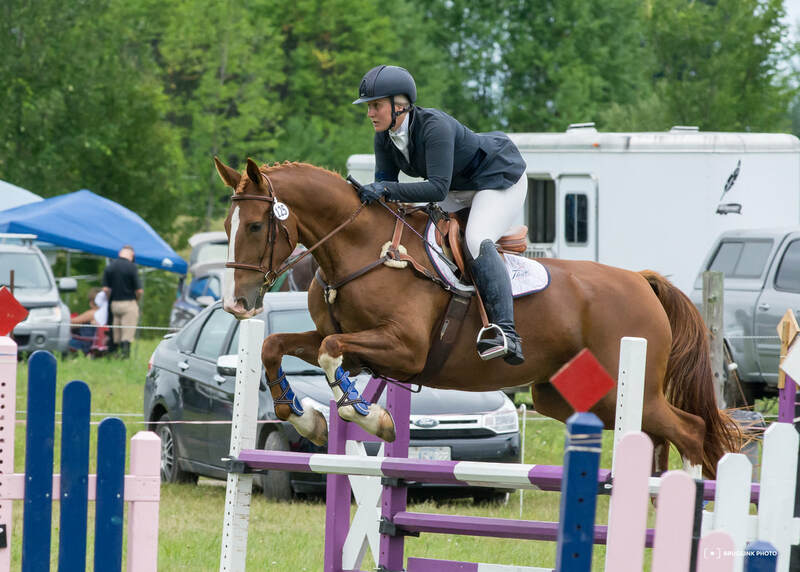 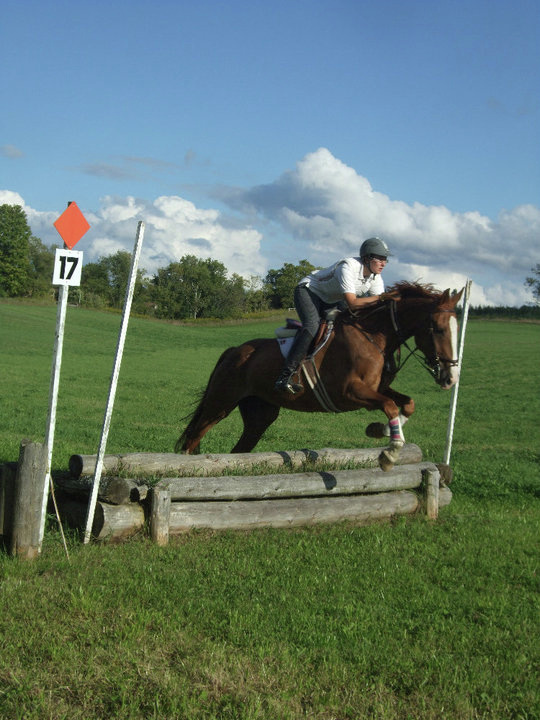 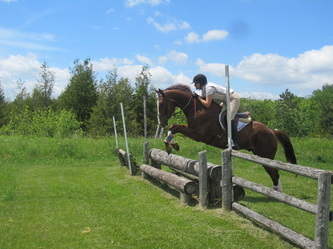 Bennett was a mennonite horse, and is in training at Tiara to become an eventer. 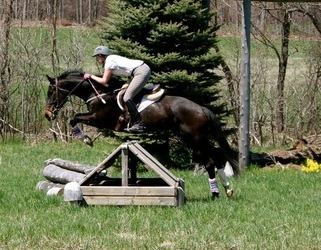 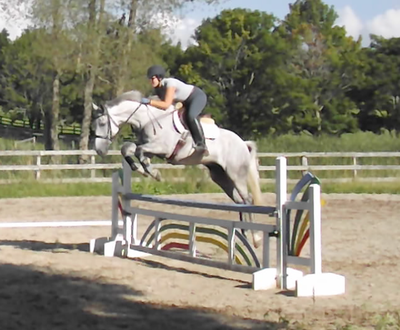 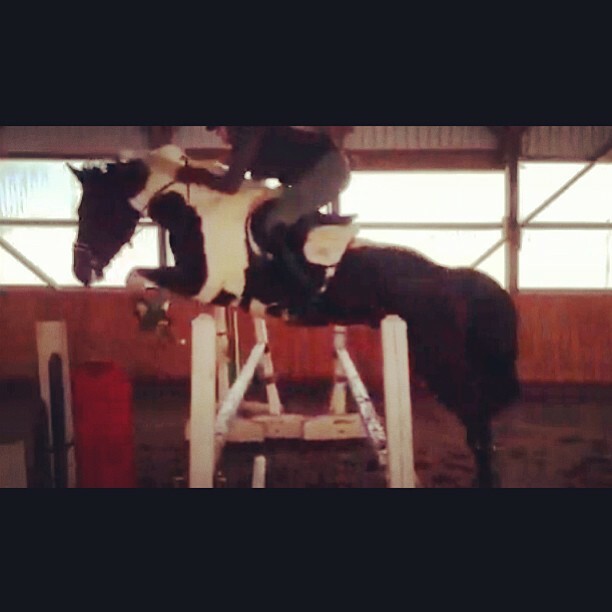 This boy has an fantastic jump and the excellent work ethic of all of our former driving horses. 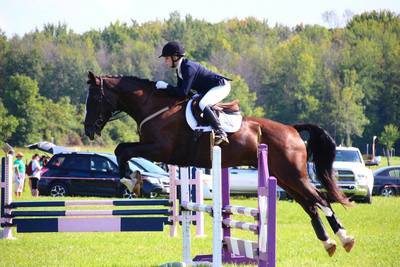 The enjoyed lots of success in 2016 at pre-entry and he also took home a 3rd place ribbon at OHTA Champs at entry level. Nexus had a successful season at Pretraining, and was snapped up quickly by longterm Tiara Equine client Alexa Vermey, who actually took this lovely gelding to one event as a last minute substitute, only to win by a landslide. They look forward to a long life together. Since their partnership began, they have enjoyed much success including 2nd OHTA Champs 2015, Champion at Silver Championships for 1st level 2016, and a wins at Pre-Training. Stroud was a stellar schoolie for Tiara for one year, when he came in to be sold. 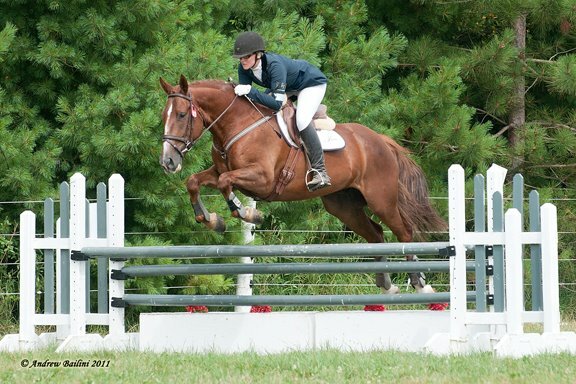 We are happy to say he went on to continue his career as top notch school horse, for Myrddin Stables in Georgetown. 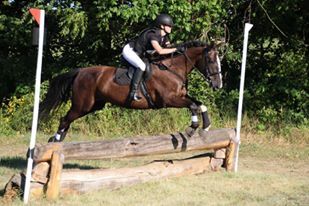 This connection was a full circle in many ways - head coach Meagan, grew up riding at Myrddin in Margie's eventing programme riding horses similar to this lovely guy. In addition, Margie had trained Stroud for the track as a youngster. 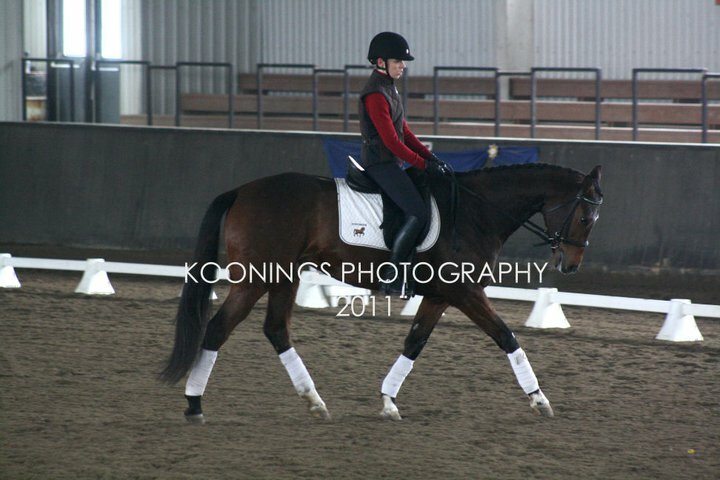 We are so pleased to see him continue working as an amazing teacher in an excellent facility. 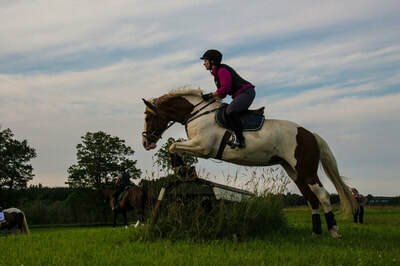 After years working for Tiara as a school horse, our lovely Dundee found the perfect owner in Rick K, who is hacking, taking lots of lessons, and enjoying learning to ride as an adult after years of supporting his horse-crazy daughter and wife. Congratulations to Christina Zoratto on the purchase of this exciting young horse. Beautiful and talented, this girl is going to go far. We are excited the Christina is keeping Brook in training with us and has joined the Tiara Team! In 2014 Brook finished the season in top 6 for Open Entry, including a 4th place finish at Champs. 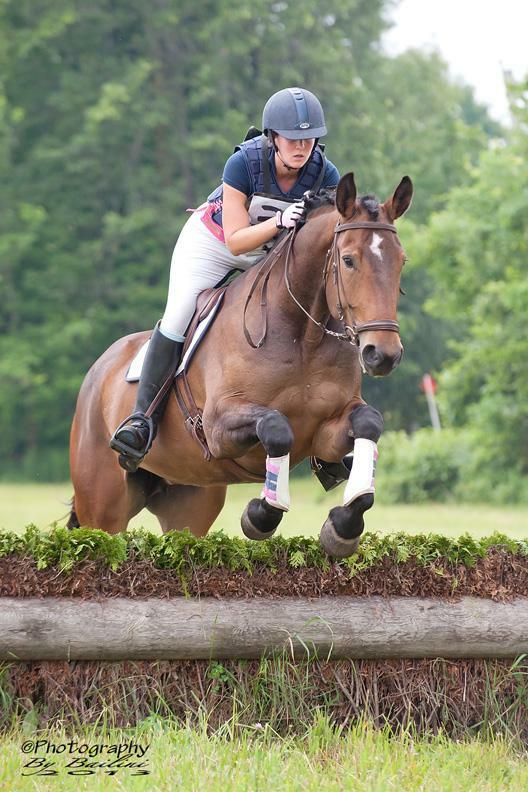 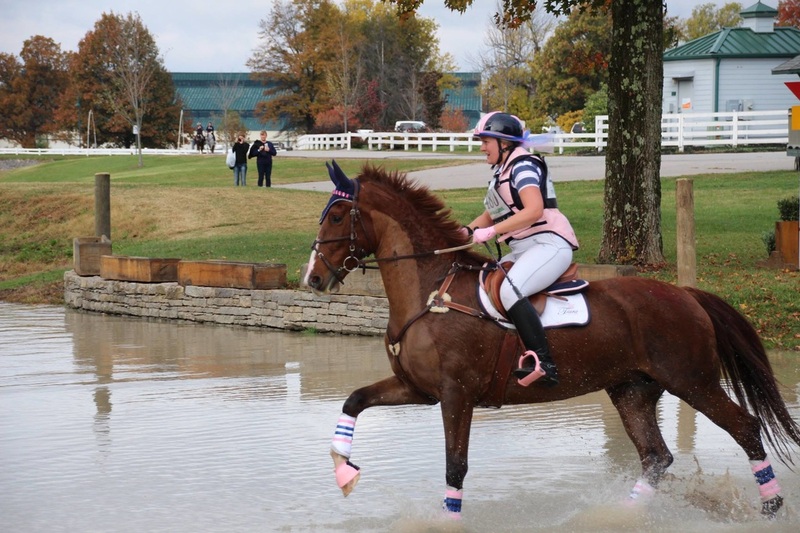 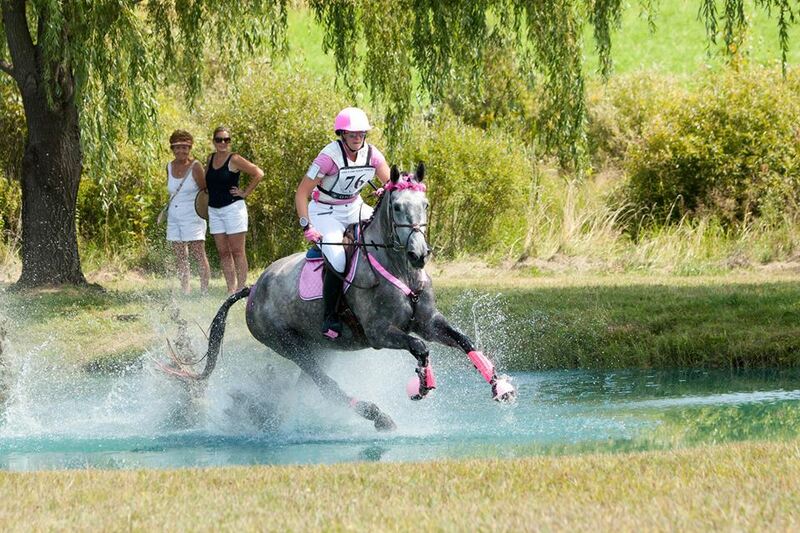 We can't wait to see Christina take over the reins in 2015 for her debut into the eventing world. Congratulations to Jonathan Keebler on the purchase of 17 hand liver chestnut dutch gelding, Wally. 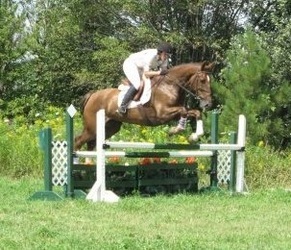 Jon purchased this young horse as an upper level eventing prospect. 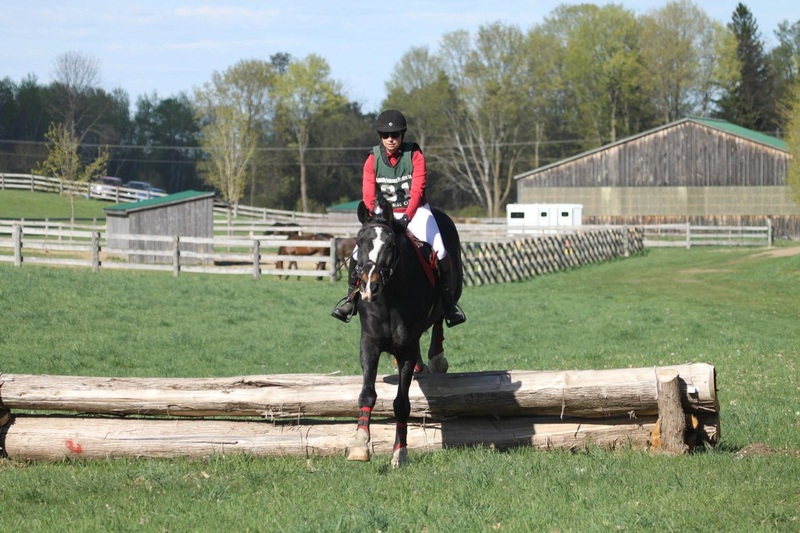 Wally had a successful introduction to eventing with a 5th place at his first entry event and will be seen 2015 at entry and pretraining. Paris was found by Tiara Equine, as an unhandled 5 year old. Not fitting the mould of amateur friendly, uncomplicated Tiara sale horses, Krystin Anderson, Tiara's brand new trainer and barn manager, snapped this stellar lady up. 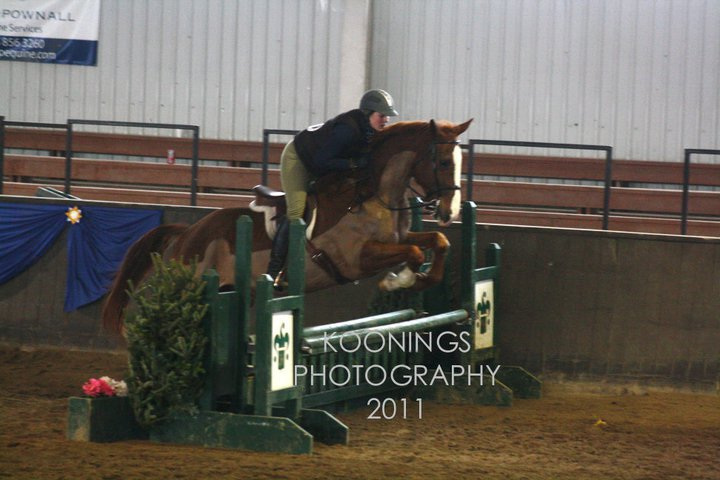 This girl is bred to excel, with a half sister running intermediate. 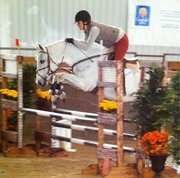 Krystin brought the unhandled and wild mare to pretraining in one season, and enjoyed a team win at Kentucky Midsouth. 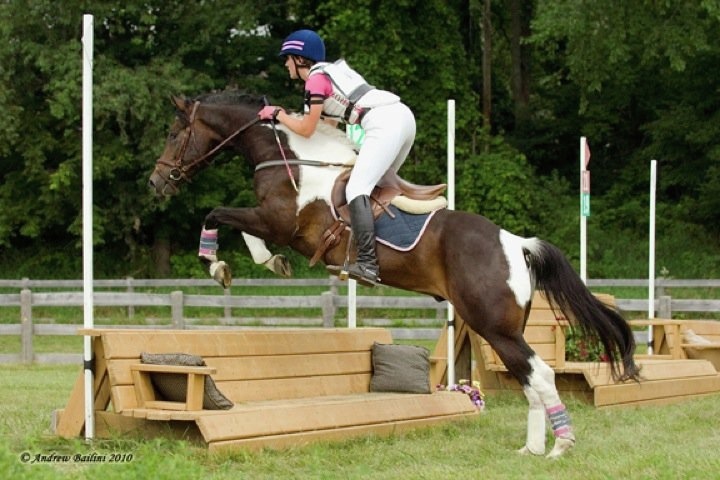 The pair will be representing Tiara in 2015 at the training level, with plans to go far! 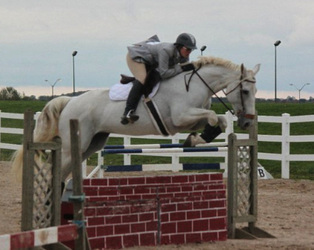 Congratulations to long-time client, Tracy Hendricks on the purchase of this fantastic gelding. 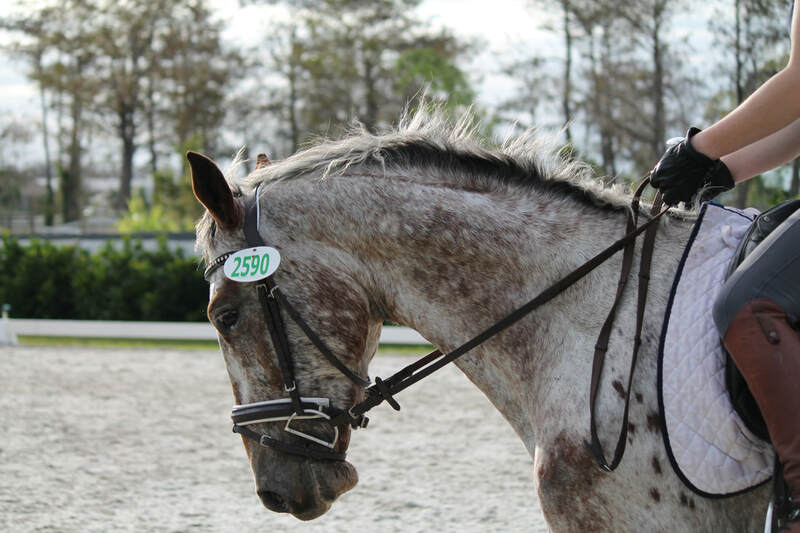 It was love at first ride, and we are excited to see what the pair does in both eventing and dressage. 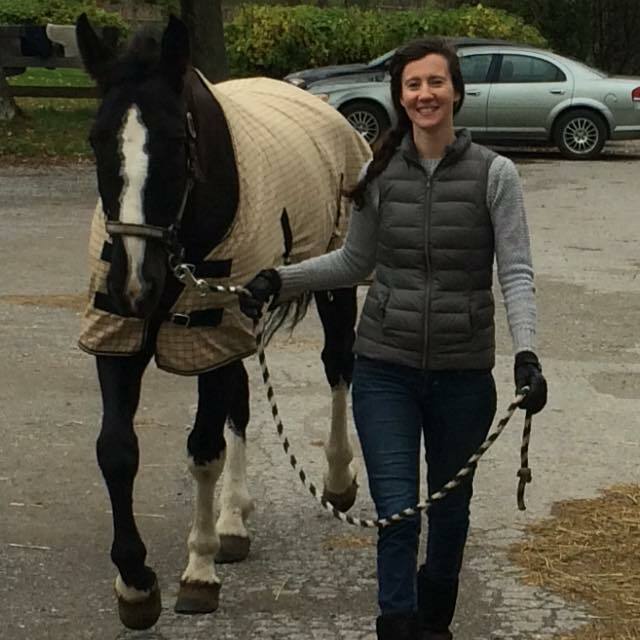 Congratulations to Natasha Crowcroft on the purchase of Archie. 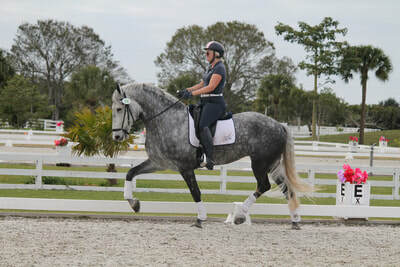 They will be doing dressage together and he will be staying in training at Tiara Equine. 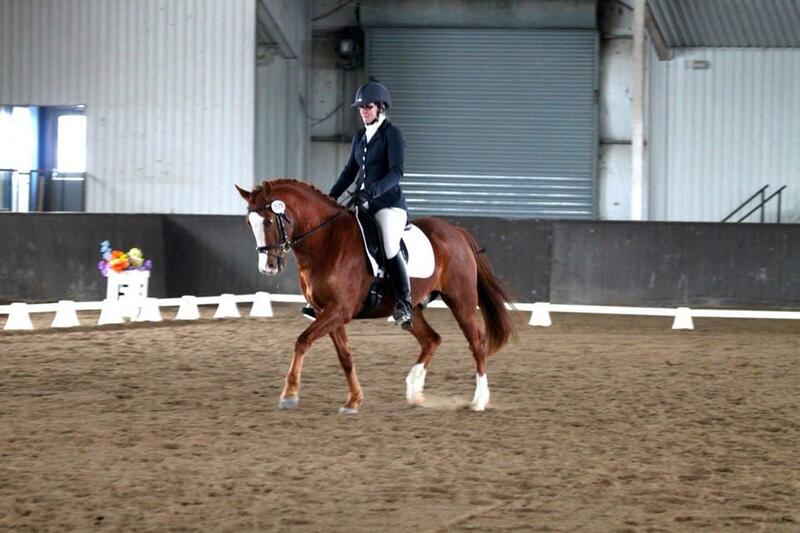 He will be available for part-board to an experienced dressage rider looking to learn from this 2nd/3rd level horse. 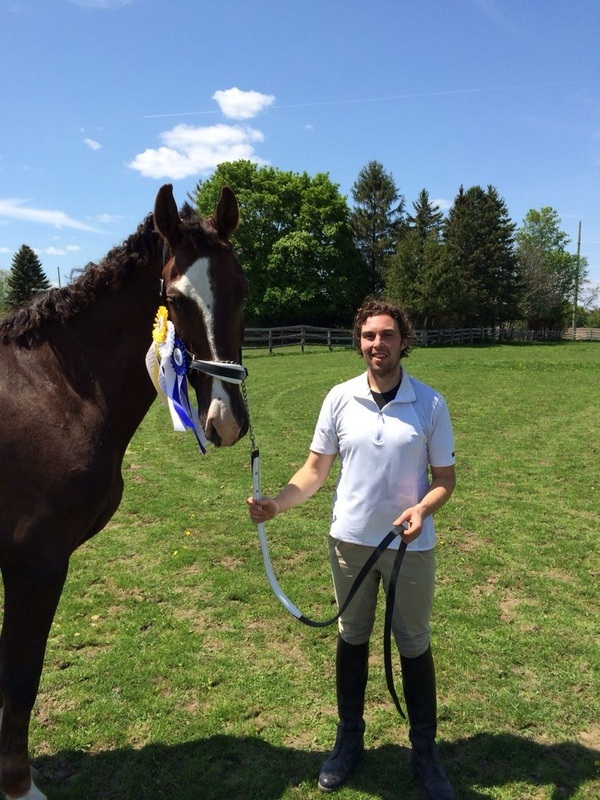 Congratulations to Paul Cary on the purchase of Geneva. 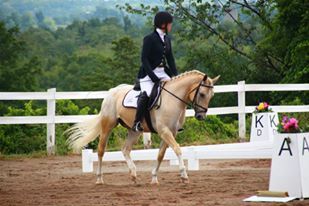 Geneva was a quick study who moved up the ranks to training in her first season, with ribbons every time out. 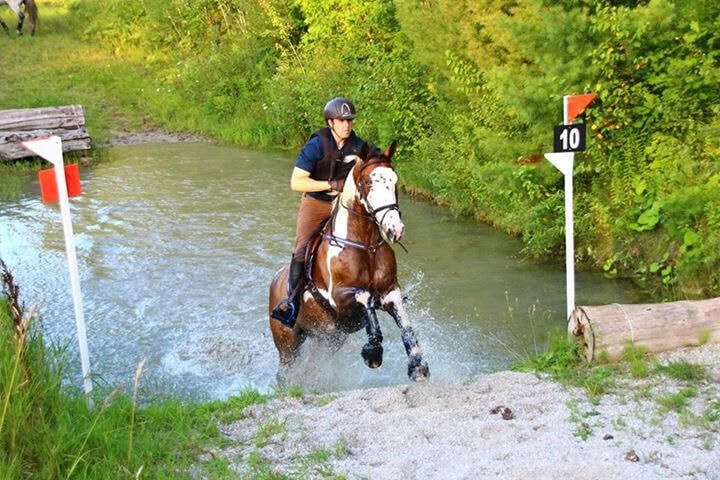 We look forward to seeing Paul campaign her even further up the levels! 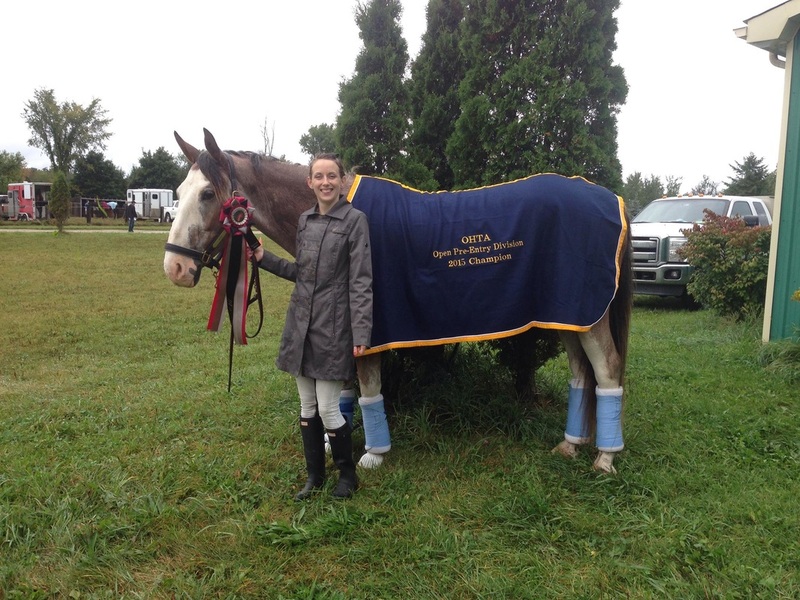 Congratulations to Christina Doherty of Toronto, Ontario. 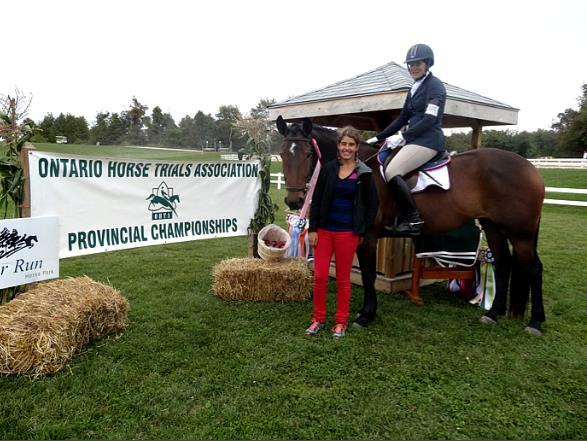 Molly is her first horse and the two have remained in training at Tiara Equine, and have competed at their first two events, with ribbons at each! 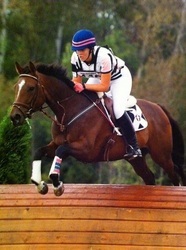 Congratulations to Victoria Marshall on the purchase of Annika II. 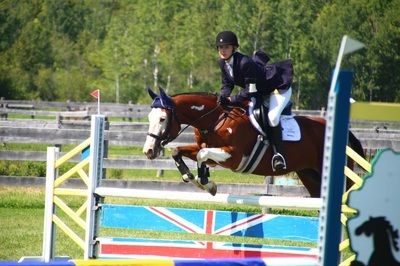 Annika was 2012 OHTA Canadian Warmblood Champion for Entry Level. 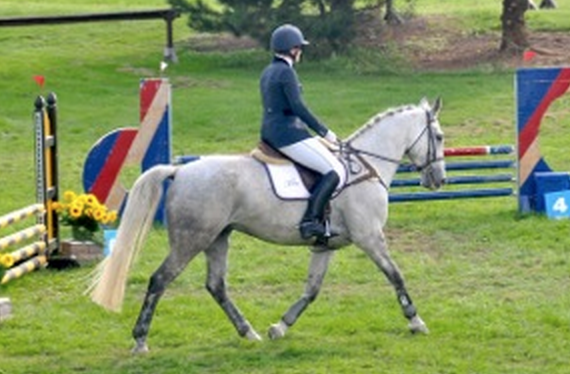 In Victoria's first season the pair won at training level. 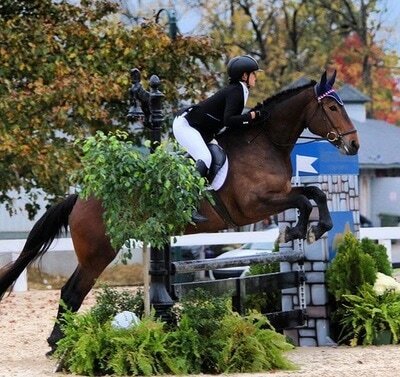 Looking forward to seeing this duo in the upper levels. 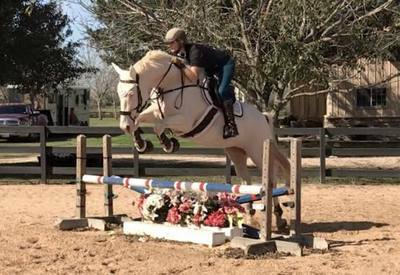 Aspen was trained by Tiara, then purchased by a junior rider to event, and is campaigning at Pre-training level. 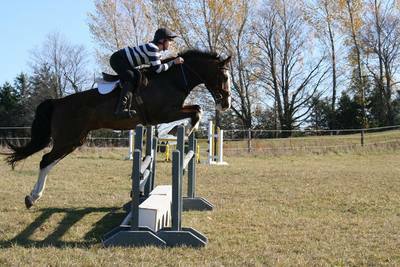 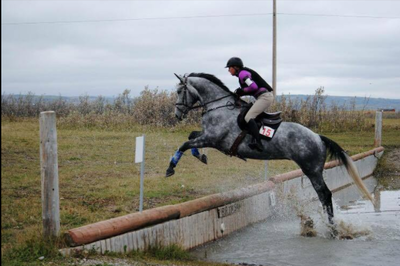 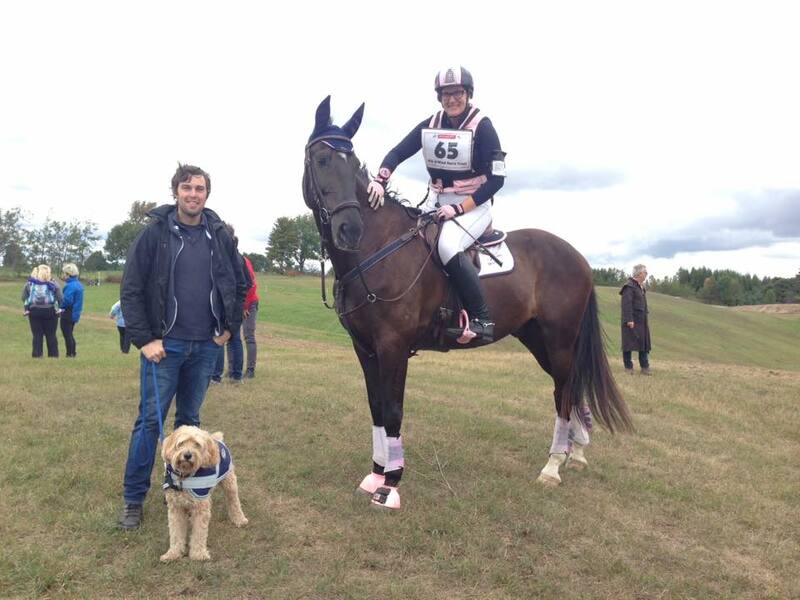 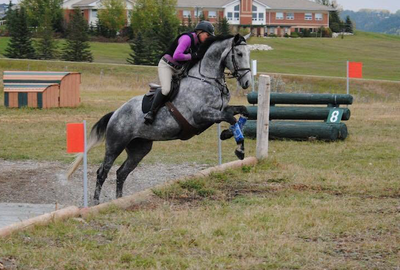 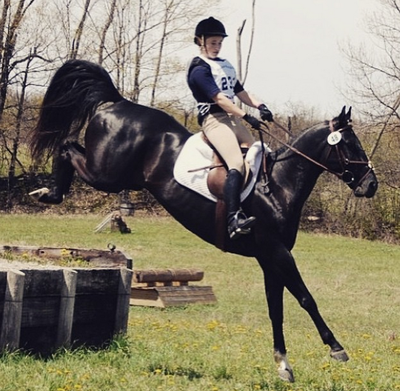 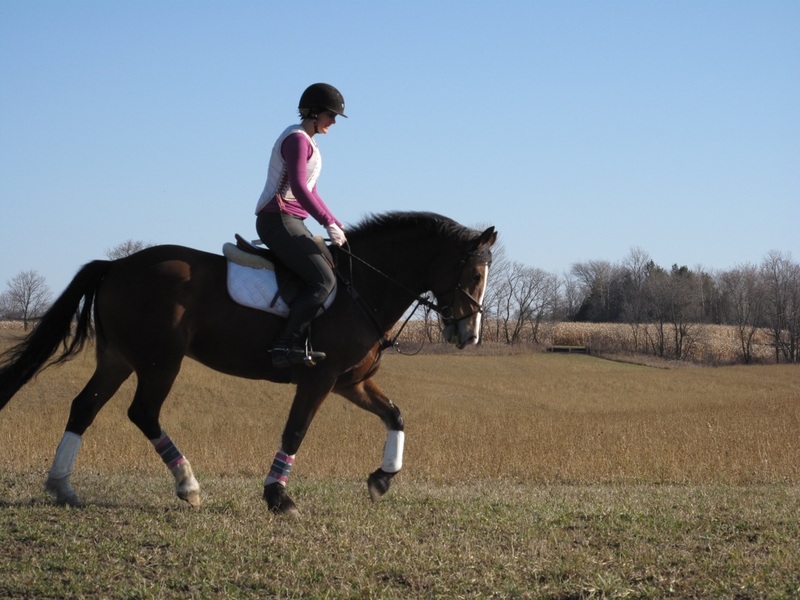 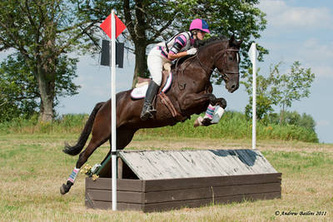 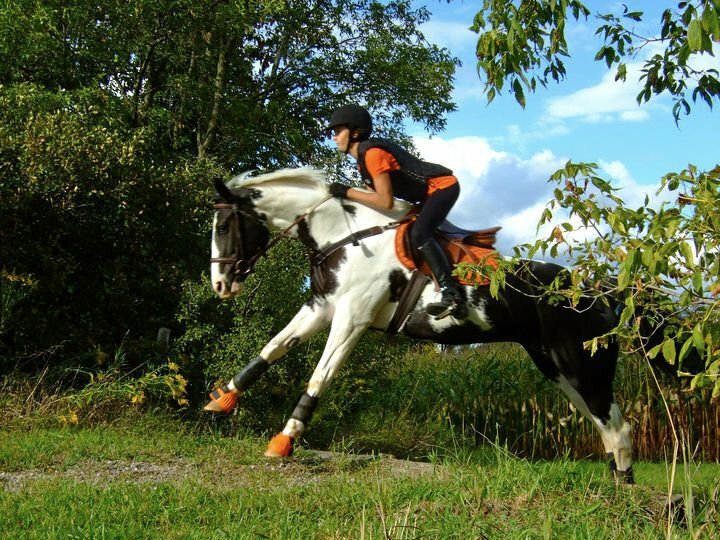 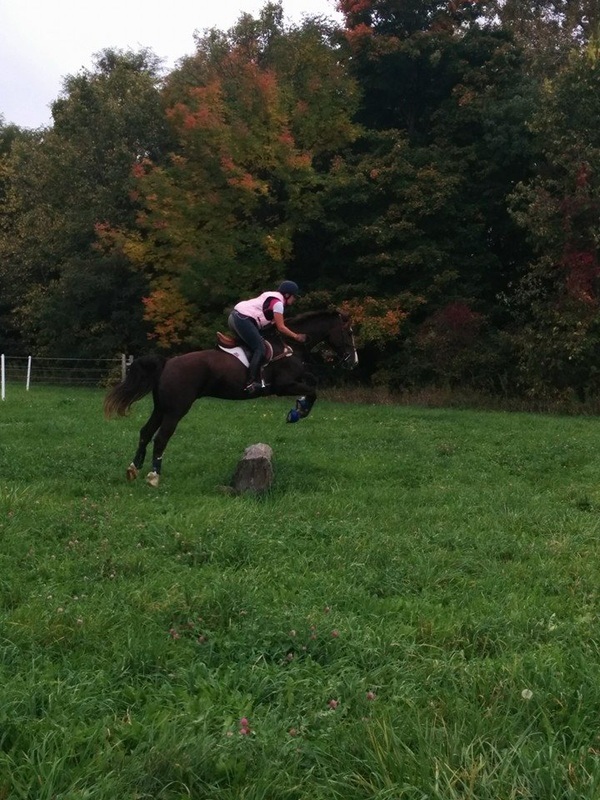 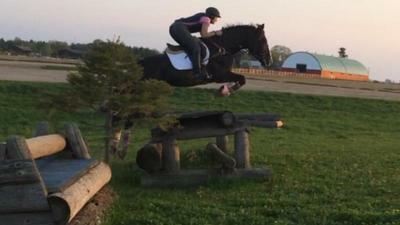 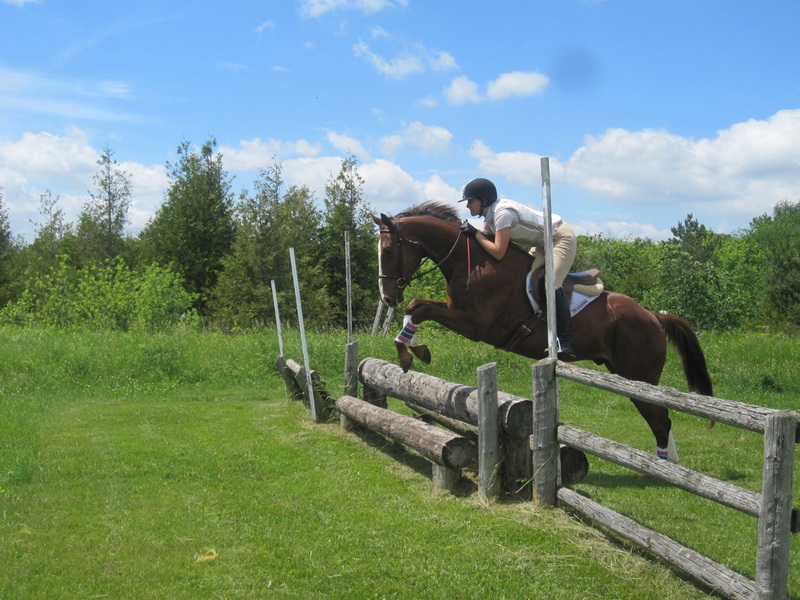 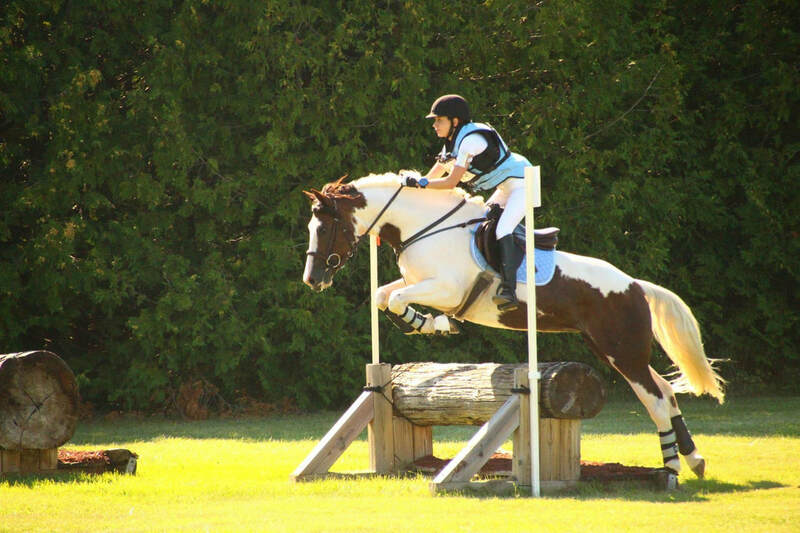 Congratulations to Diesels new owner Shannon, an Eventer in Ontario. Both are Florida bound for the winter season! 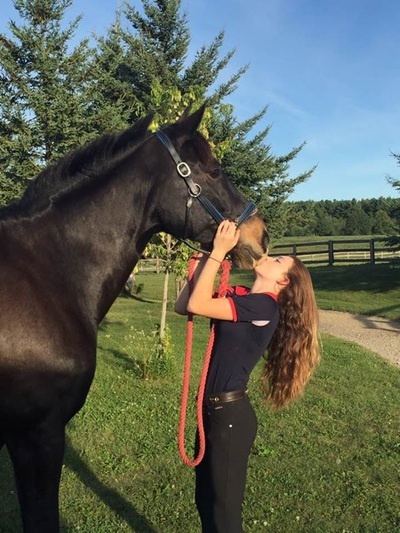 Congratulations to Salem's new owner of Toronto, Ontario. 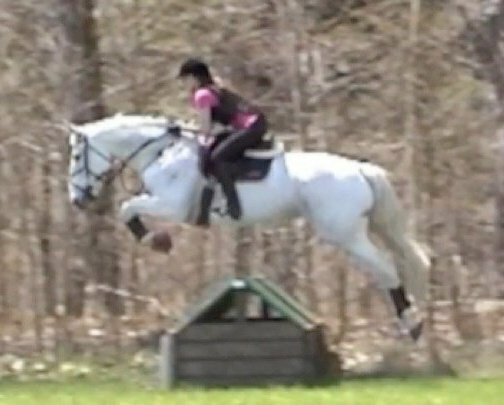 She will be out eventing in 2012! 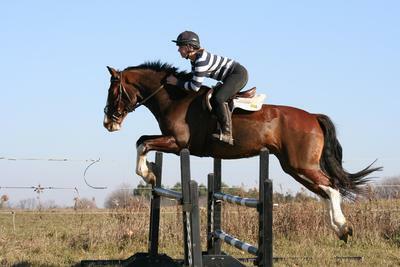 Congratulations to Fargo's new owner Caroline of Guelph Ontario. Since owning Fargo, Caroline has won Championships two seasons in a row and was 2013 Entry Division Year End Champion. After a 2nd place Overall award in the Entry Division, and ribbons in the trillium's and A's at the 1m level, Terra is leased out for the 2012 season and can be seen in the 1m jumpers. 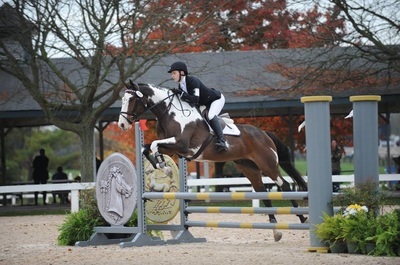 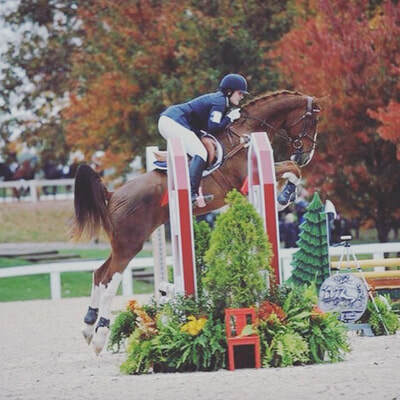 Congratulations to Paighton on her new horse, and best of luck with making it to NAYJRC! Rico's new family (a mother daughter team) will learn the ropes of horse ownership and eventually event with him. 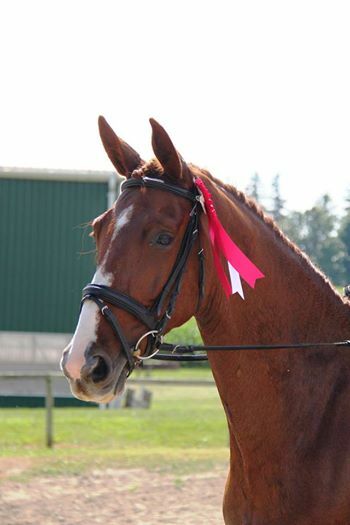 After many years winning in all disciplines, Norma will make her new family a lovely hack horse! 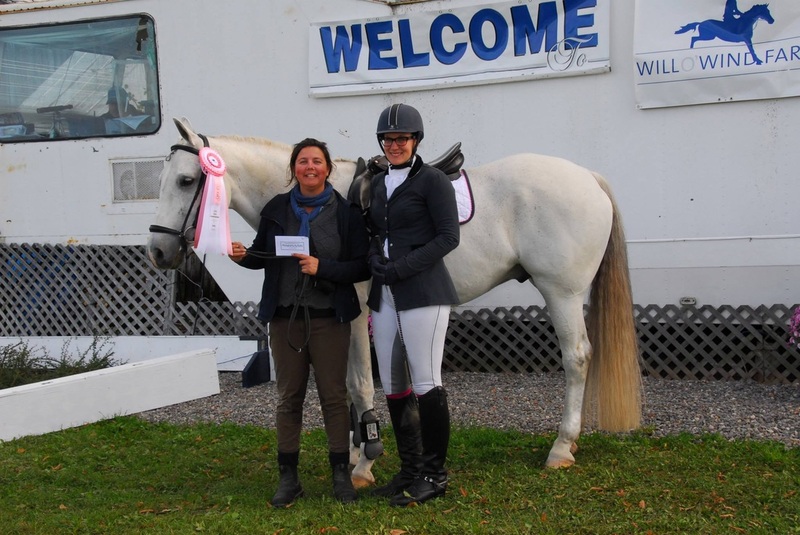 Congratulations to Cheryl and Bronwyn, who now have Biggie in Cambridge, Ontario, with plans to event her! 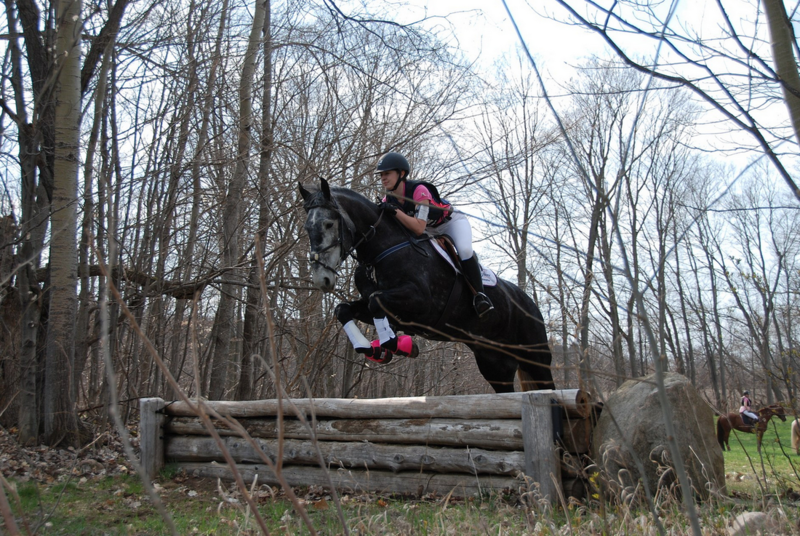 Bronte (Hannoverian by Rio Grande) is well loved as a hunter at his new home in New York. 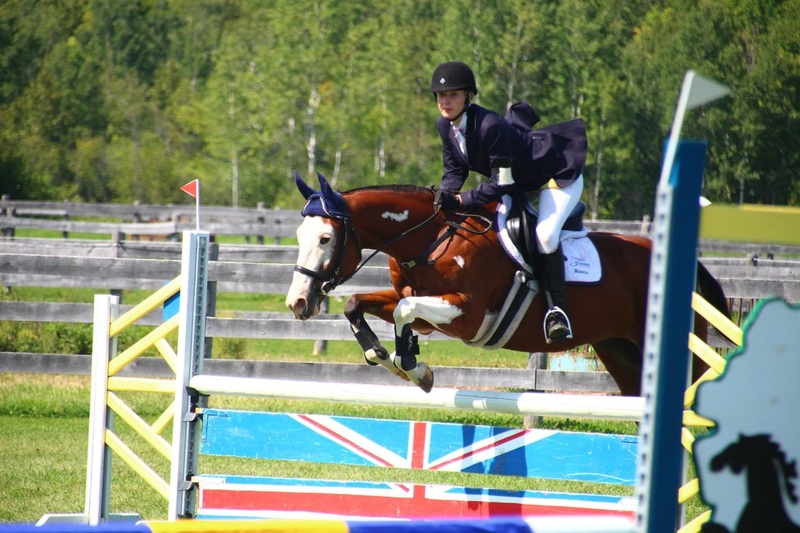 Congratulations to Nanaimo's new owner, Jenna of Huntsville, Ontario!! 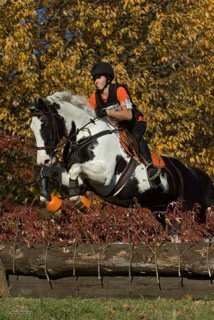 Commando is now "Indiana" and congratulations go out to his new owners, Josephine Coombe and Susan Vinovich of Toronto, Ontario. 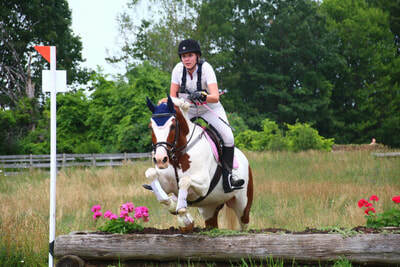 Indiana is staying in training with Tiara Equine, and looking forward to a career as a hunter. 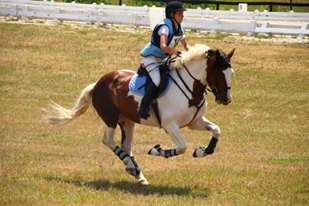 Polka is a well loved school horse at a busy riding school, and has evented successful after her preliminary western training. 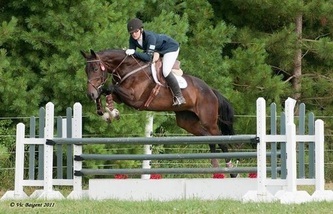 Congratulations to Lucy's new owner Marnie! 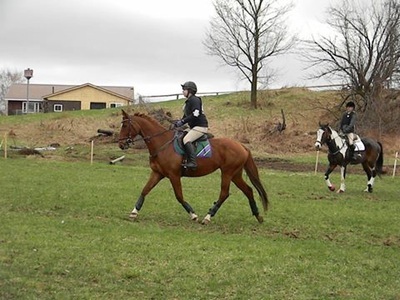 Marnie and Lucy have enjoyed a very successful first show season together, with ribbons in the hunters, eventing, and also went field hunting. 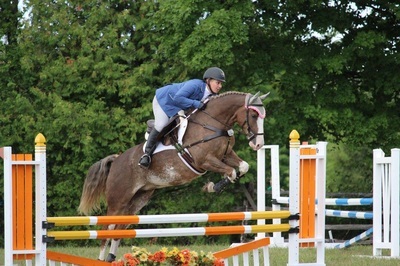 Congratulations to Vegas' new owner, an upper level event rider from Caledon East, Ontario. 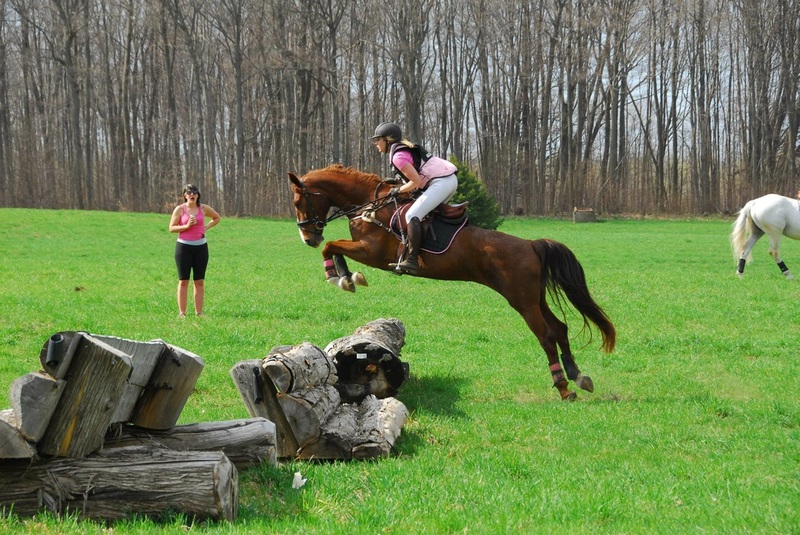 Congratulations to Oakley's new owners, a father/daughter event team. 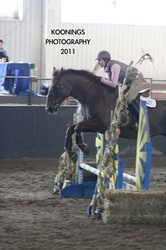 Congratulations on 2010 show season success.